If you have been following the stock market over the past few months, you know that things have been very volatile of late. For a lot of people, all the market turbulence is unsettling. After all, after a stock market correction, how do you know when the time is right to put your money in the market? and when to pull it out? On occasion every trader, or stock picker dreams of buying a stock right before it skyrockets, turning them into a millionaire overnight. Many traders and investors tend to take short cuts to try and create wealth by trying to time the market. They try to get in before a certain stock, or the DOW takes off... Wouldn’t that be great? But, is it too good to be true? When you purchase a good stock on market dips it isn't. Some traders might get it right once in a while, but unless your "Carnac the Magnificent" you won’t be able to call a stocks ultimate bottom every time. However, we have some good news for you; there is a way to for you to time the stock market and create the wealth your looking for over time with Dollar Cost Averaging (DCA), this involves investing money into a stock at different prices, willingly better ones. The main advantage of DCA is so traders can buy more of their stocks at lower prices rather than at higher ones. Below we are giving you an example of an investor who makes 12 smart buys in a year $200 worth of shares each month when a good stock dips and declines and the annual trading range for this particular stock is between $6 and $15 for the year, and how you could avoid the risk of buying $2400 worth of these shares at its peak prices if you were to made a 1 time purchase. Here is how dollar cost averaging would look if you broke $2400 down as an IRA investment over 12 months making smart random purchases each month of declining GE stock. For this example below we used the actual 12 month trading history for (NYSE: GE) General Electric between (1)January 2018 and (12)December 2018 when the stock traded between $15 and $6. Total $2,400.00 - $12.46 average and 206 shares owned with a Current Price of GE $10.40 - this results in a current Loss of $430 or $2.06 -17% per share, still within striking distance if GE rebounds above $12.46. If you had decided to put all of the $2400 of GE in December at a $14.21 the average you would have had on 176 shares at $10.40. You would be down -$4.22 a share or -$670 = -28% with an $14.21 per share average. A downside to DCA is that investors don't have an opportunity to buy additional shares at lower prices if the market is in a prolonged bull market. However, even in a bull market on big down days or a sharp market correction it does allow an investor to reduce their average cost as they hold the shares through dollar cost averaging. As you can see from the scenario above is why we know DCA is so effective and is so simple to implement that you can get started investing in your future fairly easily with a small amount of money, and consistently invest it over time and that you don’t need a lot of money to start trading. You should always be investing consistently, even when the market is down (more shares for your capital), you continue to invest this way it’s a savvy, tried and true way to build wealth at the same time limiting some risk. Another negative aspect of trading this way with DCA is you incur more fees. Dollar cost averaging means making more transactions, which can result in higher brokerage fees. But you benefit when you don’t pay any transaction fees if you are investing in a 401k or an index fund that doesn’t charge commissions. There is always risk involved when your trading stocks or investing in anything, and you need to be very careful. But, you can reduce a lot of risk and build a nice piggy bank, for yourself using the dollar cost averaging strategy we teach. When our members use a combination of the dollar cost averaging and our market timing strategies to buy stocks they tend to see their investments rise in value and who doesn't like to see a drastic increase in their investments? Bare in mind, investing is for your future, and should always feel like a long drawn out process. Historically, the stock market has risen over time. So, don't take short cuts to wealth, by trying to time the market! Instead adapt to a DCA strategy. In conclusion, the point of dollar cost averaging is not to try and time the market or a particular stock– it is to save or invest with amounts of money you can afford. The amount you can invest could be as low as $25 a month or into the thousands. The point here is that you get into the habit of investing, and dollar cost averaging provides you with an easy and affordable way to invest your money into stocks on a regular basis with small funds. If you like the idea of using DCA as an investment strategy you’ll benefit from subscribing to our FREE NEWSLETTER. Our articles and Trading Tips, are there for all traders and investors to explore as well as some of our tools and techniques we are show our paid subscribers. We also offer a 14 DAY FREE TRIAL so you too can learn knowledge for yourself about market structure, trend identification, cycle analysis, volatility, volume, when and when to trade, position management, and how to put it all together so you have a winning edge. Again, the time is NOW to invest in your future success! We look forward to seeing you soon. Till Next Time... Happy Trading! A s a stock trader and investor you must realize that big market sell offs are an anticipated and a healthy part of investing in the market. It make good stocks cheap. As a smart investor when you are concerned about market risk you can use tools, tricks and trading strategies to help protect and hedge your investment portfolio in uncertain and uneasy times. You have to understand since the inception of the stock market it has been true that what goes up does come down, and what goes down usually comes back up, and way up! The market has always made higher highs - but has never gone to zero. Although the stock market has continued to hit new highs this year, it has often been subject to periods of declines and downturns. When the market is a steady green investor confidence is high, and when red then fear sets in, especially when changes happen fast. You will learn to become a better trader when you're trading with a long-term aspect on the market, only then will you will be on your way to real wealth creation. Especially, when your under valued stocks come off their lows to begin to trend higher. But, not if you sold your holdings and walked away. Most online traders like to use short-term plays to profit, but you have to understand, as an investor, that these play will eventually work out, but they are subject to take a bit more damage during volatile times. Stocks will forever rise and fall, occasionally by substantial amounts. That is the game. When the market is increasing in prices over a lengthy period of time it's called a bull market. When it decreases substantially like 10 to 20 percent it is a called a correction, a bigger decline of more than 20%, is considered bear market territory. These 3 movements are all a part of the stock market stages and its life-cycle. When trading the market, big ups and downs tended to balance each other out over time. As a general rule, up trends in the markets have always outweighed periods of declines. Because of this, stocks have had a stronger performance of any other investment class, even real estate, over the long haul. But, remember past performance does not guarantee you any future results. If it were just as easy as simple math, it could be very easy for any investor to just sit and wait out the market sell off for its recovery. But it is not that easy. It is how investors react when the market declines, as it spooks investors, that is the key to stock trading success. Don't be that trader that when your stocks begin to free fall, you act irrationally and start making poor trades and bad decisions, negatively affecting your investment returns. Knowledgeable investors who are a bit savvy enough tend to take the necessary steps and prepare their portfolios for occasional market declines. These investors are better composed when managing their emotions in times of stock prices decline. But, investing too conservatively may contribute to them not reaching their profit targets. Just as we've seen in previous market sell offs, many individual traders continue to make bad trades, they keep selling good assets when the market declines, only out of fear, like the stock market will never, ever recover and come back. However, the opposite is always ringing true. Not only will the market come back, but it will probably happen a lot sooner than one might think. When the pundits are predicting there are further corrections ahead, the reality is NO ONE can predict the future of the market. But one can certainly use past experiences to help gain an understanding about current market conditions. So in this blog we are trying to explain how market corrections typically work, so you can get off the sidelines and invest in your future. 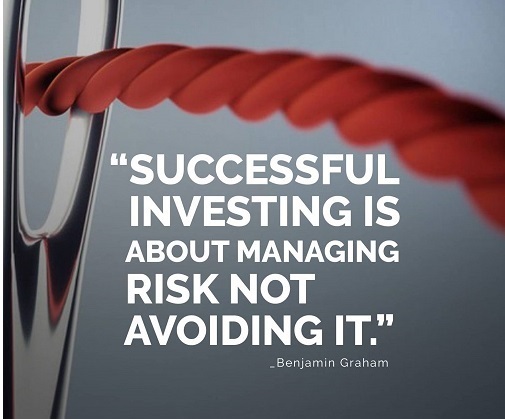 Recognize, investments of all types involve risk. Because the stock market was on a huge tear, investors now are sensitive to downward trends. So when this market recently corrected, the result was met with fear and uncertainty, and a lot of investors pulled their money out of the markets. But just how long should that last? How low can it go? Since the current correction is still in progress, we’ll look at past market data, which is the last market correction on record, 2016. While a good portfolio anticipates all possibilities from the outset, you can improve your stock trading at any time by subscribing to our service and by implements some of our stock trading methods. This isn't our first rodeo. As a long-term investor, you shouldn't be focused on short-term volatility. You need to make the long journey a little more enjoyable by implementing a few simple steps during a market correction like this. You will face some risks as a holder of stocks and mutual funds during periods like this, and we have a few ideas about how to substantially reduce your chances that your portfolio suffers big long-term losses during times like these. 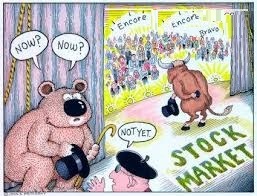 We are not there yet, but unfortunately bear markets do take a little longer to recover. But good news is they will and do eventually recover! But emotions, fear and human nature are tough things to overcome. So while ignoring market corrections and bear markets and staying the course is the right thing to do, it doesn’t necessarily feel that way when markets are uneasy and volatile. So our advice: do not go at it alone! 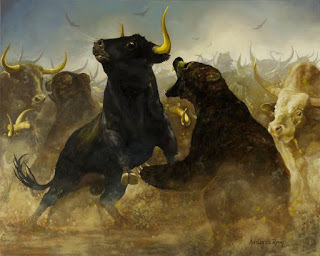 Use a battle tested service like BullsToBears.com to guide your decisions, and remember that making better stock trades as well as going slow and steady when trading stocks will always win the race. Bear in mind, if you a day trader, swing trader, short-term or long-term investor you can't help but benefit from subscribing to our FREE NEWSLETTER. Our trading methods and tips, are there for all traders and investors to explore. We also offer a 14 DAY FREE TRIAL so you can learn for yourself about market structure, trend identification, market volatility, volume, where and when to trade, and how we put it all together, so that you can have a winning edge. Remember, the time is NOW to invest for your future success! After this most recent stock market decline, it has left many investors feeling very anxious about trading stocks, but we promise it's going to be ok. So, take a deep breath and exhale! This latest sell-off feels a bit more unsettling because - it’s been a while since investors have experienced this type of volatility. Last month's gut wrenching big dip was the third one this year, similar market moves like this typically happens about 2 to 3 times a year. This last sell-off appeared different to us, because it seemed to look more like investors were in some sort of a panic selling mode and that many novice investors were implementing bad trading habits and making irrational investment decisions. Last years big movers like NVDA and BIDU recently have had larger than normal declines that lasted over multiple days. 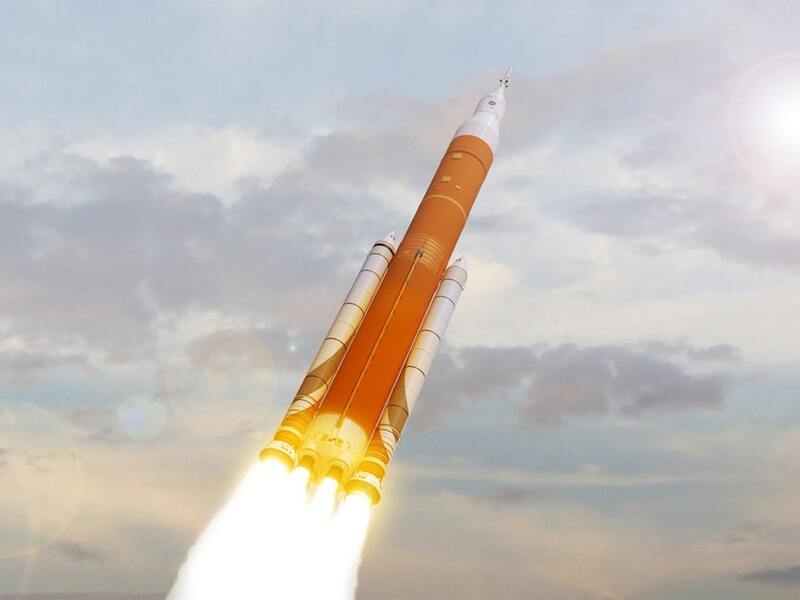 When events like this happen in the market and to your stock holdings, as a good stock trader, you have to be on the lookout for the future bounce that is going to occur, when it is going bounce back. It's ok if you miss the first bounce when it begins, but you should be on the hunt to trade the second bounce after the initial bounce occurs. We tell our subscribers to never sell their holdings out of fear; instead, to be more selective about how you trade stocks during periods like this. So, if you feel the market cycle is nearing an end, take into account the current stock markets factors and dynamics when making new allocation decisions. Diversify your portfolio to include sectors with strong growth prospects (like infrastructure), read our research reports because when the market sells-off, you need to understand what is happening and what assets you need to be buying. If you subscribe to our service we will show you a few ways you can play a dead cat bounce, and how we manage to pull out some serious returns after steep market declines. Take a step back from the recent declines. The majority of the numbers that came out suggests the U.S. stock market is still dead center in the middle of the longest-ever bull market, with the S&P 500 more than quadrupling itself already. When the Bear-market rallies it tends to be quick and robust, so we’ll see how this last decline plays out. But, if we are heading into further bear market territory, a big bounce will take a bit more time to transpire from its yet impending bottom. Many traders for the most part don't seem to notice when their stocks are moving higher over an extended period, but the market’s got a way of getting their attention when it goes down. Nevertheless, learning to tune out all the noise, and all the hysteria, is the winning combination to long-term success in the stock market. And as we've stated in a few of our previous blogs, that a major key to our successes is our ability to be buying quality stocks during periods of declines - rather than selling steep sell-offs. Because buying rather than selling during those times usually presents you with a much better opportunity for prosperity. Having the insight and leap of faith to lower you stock price average is an unrecognized perk of big market sell-offs. If your investment strategy warrants, and you have some liquidity to invest - that is probably a very good time to consider adding to your existing stock holdings or find some new gems. However, take into account and be prepared for some possible uneasiness: as your assets could fall further still - that is until the selling stops and the buying begins again. Buying stocks before the proverbial breakout is one of the most sought after common stock trading strategies, but if your are new or a novice to trading stocks or have little experience trading market breakouts, you may find that they're not as easy to trade as they appear. Often the breakout turns out to be false breakout, which could have you losing some more money. But, if it is a real market breakout, that bounce will provide you with great entry levels and better dollar cost averages. While there’s no “Right” time to playing the market! When the market is down big, it tends to make us feel like it is always the "Wrong" time to be trading. But, you need to fight those fears away and keep investing. Keep looking for good valuations. With the vast majority of asset classes and sectors in the red right now, you have a lot of attractive alternatives for investing into 2019. So, it's prudent to continue to practice good trading habits now and bet on the stock market’s proven history of recovery, as a long-term investment theorem. A plethora of strong profits reporting from companies like software legend Microsoft, to social media giant Twitter, as well as electric car company Tesla and behemoth AMZN, confirms the overall strength of the U.S. economy and the U.S. markets. We believe more strong results will be forthcoming in the next few days and weeks and months that will re-affirm our convictions that the market will rebound and/or hold these current levels. Recent investment declines didn’t just stop with stocks!!! Right now, Gold & Oil, as well as Bonds are among big downed assets this year; in fact, over 90% of 70 asset classes tracked by Deutsche Research have posted negative returns in dollars, up through the mid-term November elections, according to The Wall Street Journal. In fact, traders haven’t observed this much RED in the market in about a century. Taking everything into account... If you are as optimistic about the U.S. economic growth, as we are, current market volatility should serve as an opportunity to buy stocks at good cheaper prices. Use this dip to buy better stocks, that will move up with the overall economy, or consider selling some low quality investments, offsetting some gains (this is known as harvesting tax-losses), to make room for better ones. Don’t miss an opportunity to make a lot of money for yourself now. Don't exchange a chance to prosper, for your own personal set back, by not taking advantage of cheap stocks in the stock market at this point in time. Now, if you want to earn big profits, and want stop spending so much time trying to figure out what stocks to buy, sell and trade! We’ve got it covered! Start today by utilizing our 14 DAY FREE TRIAL, we will show you during that time how to reduce your downside risk, and teach you when it is time to add to good, or yet cheaper stocks in your portfolio - instead of selling them, and then you will be looking at a lot more profits for yourself. Thanks for visiting... Till next time... Happy Trading! Traders have been dealing with a bag of mixed signals lately. One second the market’s on fire - the next second it's cold as ice. It comes on strong - then the drop. The one thing that stays the same, is that traders are always on the hunt for big profits. They get exhilarated when their stocks make money and lose enthusiasm for trading when they lose money. This is a very bad trading mindset. Traders will have the success they seek more often when they act like they are in the market for long-term. When a trader gains a better understanding of why those trades are down, and losing short-term value - they will begin to trade more effectively. Your state of mind and they way you think about the markets, plays an absolutely critical role in your ability to make better trades and succeed at trading the markets. We are talking about discipline, a general sense of self-control. Typically, traders with good levels of self-control in other areas in their life, make better overall investors. So, if you are someone who is very irrational or disorganized, or otherwise lack other forms of self-control, you will need to fix your mindset and overall trading psyche if you want to succeed and make money trading stocks. It is extremely tough to be a highly controlled person trading stocks if you're not controlled in other areas of your life as well. If you're not a person of high self-control then you have to re-train your brain to be a person who thinks counter intuitively. What that means is, you have to think different from the multitude of stock traders who fail, the “flock” of sheep, so to speak. When the market looks like it wants to breakout, making higher highs, it’s likely to be a false breakout, and a majority of novice traders get sucked right into that false breakout, only to get slammed by the downturn when it materializes. This is another one of many examples where a market looks great and even ‘feels’ great like it’s going to continue to surge higher, and just when almost everyone is onboard and "drinking the kool aid" the market tanks and reverses and moves sharply to the down side. We are not suggesting that you can always avoid losses with this theory, not at all. What we are suggesting, is that experience tells us when you are patient, and maintaining good trading habits, not acting with haste, you have better trading successes. We feel that trading should be viewed and treated like your own business. Your trading methodology should also be your business strategy when trading the markets. You should include things like, better trade setups, and risk management plans, stop loss protection, profit target executions, trading convictions, etc.. Any successful business has a strategy and a plan of execution in place. You should do the same with your trading business. If you don’t have an investment strategy and plan then you’re really just throwing "darts at the wall." That is not intelligent investing. Whatever your current trading plan is? It needs to be reinforced on a regular basis, so it becomes part of your winning trading mindset. The Bulls To Bears trading strategy the one we teach in our program is essentially a “K-I-S-S” approach. Keep it simple silly! This is all built into the BullToBears.com trading plan and we teach it daily and try to reinforce it into our subscribers trading psyche. To be a better than average trader you must truly believe in your own ability, as well as your trading strategy. As I mentioned before, in other blogs, there's no room for hesitation when placing trades if you want to succeed long-term in the market. But, don't ever get overly confident, as too much confidence in any trader could end up being a very humbling experience. Very successful traders think differently from most traders. They act differently too. They are more planned and structured than most people. Winning traders are not easily distracted from their trading strategy, from the long-term reward, regardless if the market is up 2000 or down 2000 points in a day. We teach our subscribers to have long-term and short-term goals and after a while they learn to tune out all the noise. They continue and build up short-term goals, and this eventually leads to the long-term success. They are focused on continuing on, moving forward and learning the game. They are rewarded when staying focused and executing their trading plan with discipline and precision. The power you can acquire as a savvy trader with a structured daily trading routine cannot be exaggerated adequacy. Repetition is how you form better habits, these habits will either make you or break you and determine your trading life span. That depending on what your knowledge and experiences are... What does your stock trading routine consist of currently? Do you even have one? If you aren’t sure, then you don’t. You should be able to explain in- depth what your daily trading routine is and you should have a specified understanding for analyzing the markets each day. So, the remaining questions are... Are you ready? Are you really ready to become a better, a stronger and more effective and successful version of yourself? This only YOU can decide! If your answer is yes, then you better get ready to make some meaningful changes because nothing different is going to happen without change. At BullsToBears.com, you get Personalized Trading Strategies to help you reach your financial goals online & over the phone. We will help you Plan Your Goals and Help you Invest In Yourself. Start today! Get Quality Stocks signals and More with Our Free Trial offer. Help us to help you. Subscribe to our Newsletter and Learn secrets to investing and how to buy better stocks with our stock and options alerts and training. Start placing better trades today! We hope to see you soon! Till Next time... As always, Happy Trading!!! Investors are always searching for robust returns as well as consistent gains on their investments. When the market is weak, dealing with heavy sell offs and a declining stock portfolio isn't anyone's idea of a good time. They are called selloffs because investors react to these big declines by panicking, liquidating and selling off stock positions. We see this happening over and over again despite investors having held top quality companies with good fundamentals within their group of holdings. Professional seasoned investors will tend to do the very opposite. Through experience they have learned to see a big correction or huge downturn as a chance to review their risks within their portfolio and take that opportunity to add to good positions creating a cheaper entry price rather then selling into that weakness. When confronted with adverse market conditions like big sell offs, whether or not it's a one-day decline or longer, an investor must take the time to review their portfolio and access the collateral damage occurring. Having to deal with your portfolio during market volatility may be burdensome, but an important necessary task. We comprised the paragraphs below into a few suggestions that will help you and your trading account survive big market declines like the one we just witnessed that wiped away 2000 points on the Dow, all of 2018 gains, in about 20 trading sessions. Have long-term goals etched in the back of your mind. The one thing for certain we can GUARANTEE our followers is that regardless of what your stock holdings consist of, the stock market will forever experience volatile moves ups and volatile moves down. That is the main reason why it is important to keep emotions in check and stay focused on your long term trading goals. Having a buy and hold strategy and holding that course steady - despite short term choppy market moves, will most likely determine the difference between profits and losses. While the very opposite of this strategy is to Day Trade stocks and try and figure out what the market will do today with in the next few hours. Bulls To Bears as well as most investment professionals will tell you it is very risky trading, not to mention if your predictions are wrong, it could cost you a lot of your money and you can miss out on a particular company's best days that are ahead. Keep on top of your trading accounts and individual holdings. With all the wild events happening in the world today, almost on a daily basis, it should call attention to the importance of knowing where your assets are and keeping diligent observations. You must keep in mind that periods of falling prices are an integrated part of investing in the stock market. We guide our followers and help them to use a multitude of trading tools, to hedge against market declines like stock options, to assist their portfolios against sharp and unexpected drops in the stock market. Also, by making better stock trades one can constantly reevaluate what is happening while at the same time limiting overall risk to positions. The Stock Market is a difficult ocean to navigate. We recommend talking with an expert. A professional trader will assist you and help separate you from emotion driven decisions and will prohibit you from making bad trades, that will deter you from your overall goals. Researchers within the investment field of behavioral finance have found that emotions typically lead investors to make very bad trades when those erratic unexpected daily events occur - even though those averse market events in the end didn't have negative long-term adverse consequences. With the aid of a financial professional, you can sort through these short term distractions, and you'll likely find out that if your investment strategy made sense to you before a particular event occurred and shifted the market, it will make sense afterwards when the dust settles as well. Panicking is not a very smart trading strategy! At Bulls To Bears, we scan the market weekly for the emergence of meaningful discounts. We love when stocks sell off and turn pricey quality stocks into less expensive ones. Stock corrections help to keep valuations in line. These corrections do not mean the Market is going to zero. In rough times, if possible, get some cash and boost up your buying power. Or when the market is topped out and your stocks continue to hit record highs, take some profits off the table and build some cash reserves. You might also want to sell some underperformers for cash and when the market finally takes a big hit, use it to pounce on better bargains. 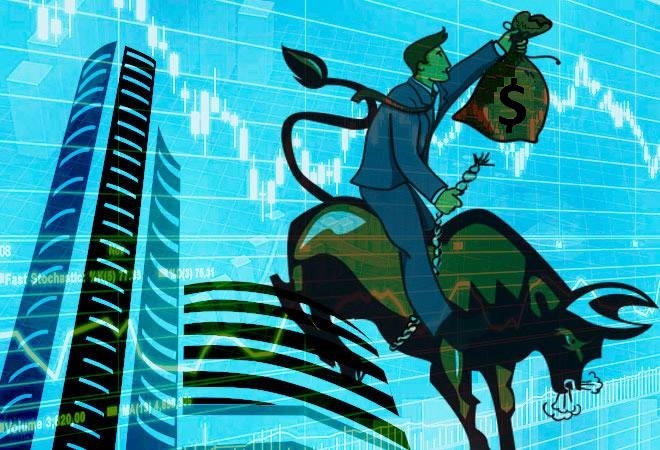 As a wise BullsToBears.com member, you will learn to actually welcome market sell-offs, because they provide an opportunity to pick up good stocks when their share price is lowered and on sale before they eventually begin to move in the right direction again, higher! By utilizing the market by buying stocks and selling others our program will help you keep a bit cash on hand, so you'll be ready to buy when other stocks go on sale. Thus turning a market drop into a good trading opportunity. So when the markets get slammed, great stocks usually get caught in the downturn and that is the time to swoop in a buy them. We agree with Warren Buffett's overall investment strategy when he says: "Be fearful when others are greedy and greedy when others are fearful." By and large, stop getting bent out of shape by stock market sell offs. Instead put together a diversified stock portfolio of quality stocks and options. Try and avoid purchasing to many speculative stocks, or investments with an uncertain future and low volumes. When you do that you will be less likely to panic during market routs with better stock portfolio holdings. Because of our 16 year track record, we are confident our members will survive, no matter what the economy or market throws at them. By continuing to place better trades - when sell offs occurred our existing clients thrived in good times and survived in bad. To conclude, whether you are a day trader, swing trader, long term or short term trader, we encourage you to join Our Free Newsletter. As a stock trader you'll benefit from our wealth building information that could help you profit and protect your investments from the next stock market surge or sell off. Utilize our 14 Day Free Trial Offer. Our FREE trial is a way to get your foot in the door and see first hand how our investors benefit from our buy and sell alerts. Just so you know - if you choose to take advantage of the trial - you do not need a credit card to enroll - Just fill in the information and you all set. "We hope to see you soon!" Till Next Time.... Happy Trading!!! Cost averaging or "averaging down" is an investment strategy used by investors to accumulate shares of a stock strategically based on per share price. A investor purchases more shares to add to a position of existing shares when prices are cheaper or when prices are higher, whenever they add to their position either as prices are more attractive or if the stock price increases. Dollar Cost Averaging is highly successful stock trading strategy that allows an investor to put additional money into a particular company to build a larger position over time. The purpose for this method might be to lower the total average cost per share of an investment, giving the investor a cheaper overall cost per share on the investment by adding more money to previous purchased shares. This strategy is actually a very smart one and can be a great method to earn big profits, but requires some discipline on the part of the investor. The “cost averaging” part of the equation is mostly a byproduct of market volatility: investors are able purchase less stock as prices go higher, and more as they go lower, therefore averaging down on the cost per share at the correct times when it occasionally dips could be extremely beneficial when the investment rises and having owned those addition shares. Another positive aspect of DCA is that it allows investors to avoid investing too much into a stock when it is priced too high and helps traders add to a position when the stocks price is lower, thus reducing overall price per share. However, this method of trading ignores simple logic, common sense would suggest it's better to invest it all at once. Fortunately, smart investors and advisors do not always base their decisions on logic or evidence. However, when it comes to trading the stock market investors emotions usually plays a far greater role in decision making than logic. Dollar cost averaging is an important trading strategy, but it should never be viewed as the only way of maximizing profits, nor does it suggest that you never invest a lump sum as part of your investment game plan. Relatively, it should be regarded as a solid risk reduction strategy suited for investors who are normally cautious in regards to a long term investment approach, because of the fear of market instability. When markets are weak and sinking it can be difficult to foresee a clear path to take. Sensibly, people get worried when experiencing a big decline in the value of their holdings, but by staying focused and maintaining your trading strategy and averaging into your current investment can be intelligent valuable decision. The main reason we tell our subscribers to average down is when they can bring down their average cost of a stock they are holding quite substantially. Assuming of coarse we believe the stock will turn around, this decision will ensure a lower break even point for the stocks position and could result in much higher gains in dollar terms, than would be the case if the position was not averaged down, in the event that stock surges in price. When averaging down works, it's because the investor is willing to hold that stock long enough for it to bounce back. And therein lies the secret to Dollar Cost Averaging. You must have the backbone to hold on long enough for that stock to recover without losing your patience or your shirt first. Had the investor not brought the average cost down when the stock dipped to $10, the potential loss on the position (when the stock is at 18 would be -$2000). So if you’re a novice investor new to the stock market, go ahead and try dollar cost averaging. You might have success with it! Remember, before averaging down on any stock position, it is very important that the company as a whole and its statistics be fully assessed. A trader should make sure whether a significant decline in a stocks price is a short term miscorrelation or a symptoms of a deeper issue at hand. At the very least, many factors need to be assessed - like the company's competitive standings, future earnings outlook, financial stability, and corporate structure. Bear in mind, at any time you can tilt the odds of success in your favor by adding BullsToBears.com to you trading arsenal. With our trading program you can achieve the best possible results with the least amount of effort by following our stock alerts and proven trading methods. Benefit from our low-risk approach that will leave you no reason to worry. Have more time to yourself to live a more meaningful life. If you a day trader, swing trader, or long-term investor you’ll benefit from subscribing to our FREE NEWSLETTER. Our articles, Trading Tips, are there for all traders and investors to explore our tools and techniques we are show our paid subscribers. We also offer a 14 DAY FREE TRIAL so you too can learn knowledge for yourself about market structure, trend identification, cycle analysis, volatility, volume, when and when to trade, position management, and how we put it all together so that you now have a winning edge. The time is NOW to invest in your future success! We look forward to seeing you soon. A stop-loss is a commonly placed market order that's entered to help protect investors by triggering a sale on a stocks position once it reaches a certain price. Today we are going to let you in on a little trading secret. We are going against the grain here and try to explain to you why stop losses are the single biggest factor why most novice and inexperienced traders lose money in the stock market. The reason behind why most stock losses probably occur, is before a stock trends higher, it typically takes a dip and trends lower and nervous people sell. It is important for you to grasp that market makers, specialists, and experienced traders are out to make money for themselves or their firms. They are out searching to make money from your inexperience and they all have access to resources, tools and information that you don't. Now listen, these sharks see your open positions sitting out there and they know that you are willing to sell to them at your stop price (the order is in) and they are searching for these easy pickings, to stop you out and make money from your mistakes. More often than not if they are planning on taking a security higher - they will drop the bid first scooping up your stock taking you out at that stop price. They want to buy it cheap and they know where to get it. Then they will proceed to move the stock much higher and are happy to own your shares that you were offering up for sale. And guess what? Now your out of that trade, with a realized loss! So, the lesson here is, If your frightened about a trade or scared to lose your money or just uncomfortable with that trade then "sit it out" don't do it. We see this scenario take place time and time again. So, it is better that if you feel the need to have a stop-loss in place, put a looser stop-loss of maybe 30% to 35%, as to not make it too tight so your easily stopped out. There are people out there who are looking for people with tight stop losses. These professionals know the stock market very well and are scouring it looking for tight stops and looking to capitalize off of it. We tell our subscribers to generally try and keep stop losses on the looser side when possible. Using a stop loss is like going into a casino sitting at the poker table and showing everyone at that table your cards, including the dealer. So don't use a tight stop loss. It is the easiest way to ensure that a wall street professional trader will pick your pocket. We see this scenario time and time again. It is paramount that you understand that a majority of your losses are coming from stop losses that you have in place right before the stocks begins to go higher and you are the loser. I'm sure this has never happened to you? In our opinion the best stop loss that you can make for yourself are mental stop losses. But you must be diligent and stick to your trading parameters. 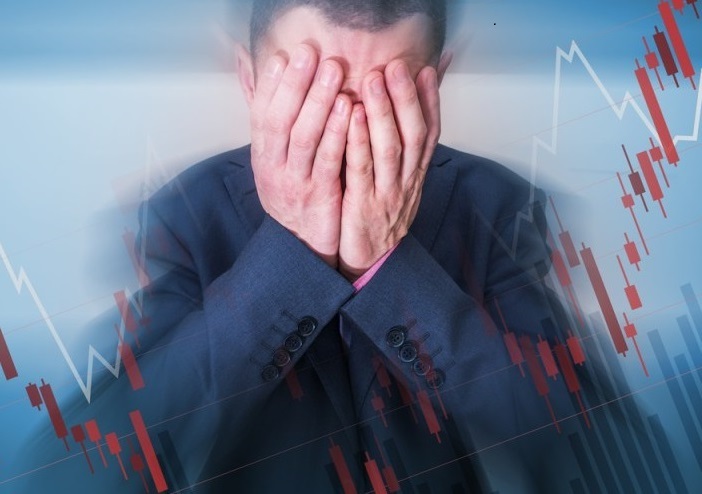 We will go on the record here and tell you that tight stop losses are the single biggest mistake novice traders make when they start trading stocks. I will stress it again, market makers have a lot more data and tools at their disposal than retail traders do. They are able see your order entries and they have the power to move the markets against you. Not to mention stop losses can’t guarantee you complete protection against even market losses. But they do increase the odds you will miss out on the upside all together, plus they increase trade costs. Also, there is no evidence to support claims that they produce better results, but there’s plenty of evidence to the contrary. It is better to start to think of stop losses by their contrarian name that describes them better " stop-gains." In addition, because stock prices tend to fall so rapidly, most stop losses entered can't be filled quickly enough and many investor's stocks are sold out at prices well below their triggered stop price. We see it often enough, that most stocks will then rebounded quickly, making the situation even more painful for the traders who are stopped out at the bottom. Another major worry in regards to stop loss orders is once your stop order is triggered, it turns into a market order. In a volatile quick moving market, the stop price could be acquired and the next offer price could be executed substantially well beneath that stop price and it will result in larger losses than initially expected, which is exactly what you were trying to avoid in the first place by using the stop order. To recap, try to avoid getting stopped out prematurely, you always want to give yourself some wiggle room in regards to your stop loss entries. Otherwise you risk getting stopped out and missing the move entirely, even worse, handing yourself a realized loss costing you money. That's all for today! Remember you can subscribe to our FREE investment newsletter here that is geared to help traders of all types, both large and small. If your a day trader, swing trader, or short term investor you'll benefit from the opinions and advice we provide, as well as free tips, offers and up coming promotions. So, take advantage of our 14 day trial offer here and receive stock and option plays that are ready to advance, and experience the exciting world of Bulls To Bears Trading free for 2 weeks. Politics, news and market moves. 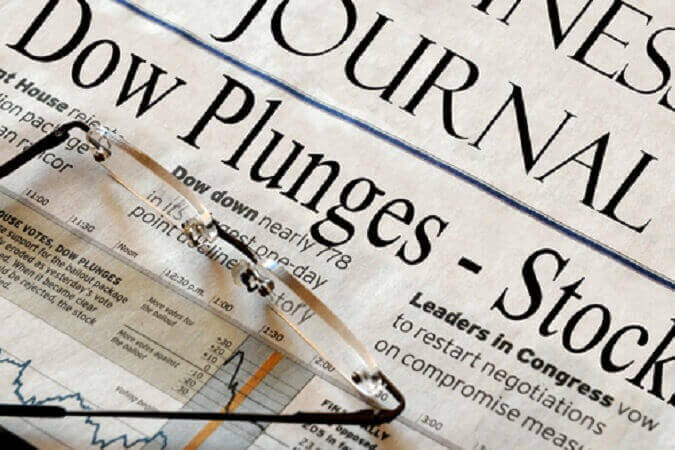 Whether it's a terrorist attacks abroad, threats of war from foreign leaders, elections or acts of mother nature, there are many unexpected news events that have preceded huge sell offs in the stock market. In the face of much of this distressed news throughout the past decade, the Dow has continued to soar and make higher highs. How was that possible? There is a intertwined correlation between political situations and the stock market. Sometimes politics seems to have a direct impact on the market movements, other times none whatsoever. Take the “Trump Tsunami,” for instance, when the stock market exploded and skyrocketed immediately after President Trump won the 2016 presidential election. In general though, politics has very little effect on the stock markets long term movements, other than short term spontaneous pop and drop reactions. When considering whether politics has impacted the market or not, it is important to differentiate between causes and effects. Investors are sometimes pumped up by an election of a particular candidate, such as Donald Trump, who seemed to have effectively shifted the political wind of the international order. The current state of the modern media environment mutes much of the impact of most events in the market. There is so much biased news today put out by certain media outlets that the market doesn’t seem to be impacted by a majority of it. By learning to tune out the noise from what's relevant is an important skill to have to becoming a great trader and investor. I also need to remind you that the financial media's main mission these days is not the quality of the news to help you succeed as a trader or investor, but instead to generate as many digital clicks or ad sales they can get. One thing we know for sure, the stock market does not like a lack of confidence and the market been hammered many times amid a series of potentially volatile political events, including the debates over raising the debt ceiling, possible government shutdowns, developments over trade and, factors other than political ones are always at play. 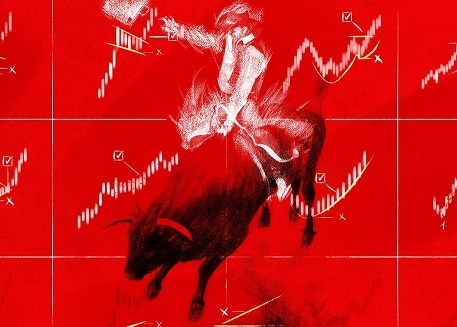 Among the many factors that influence stock market pops and drops are company earnings announcements, interest rates chatter and miscalculations on the world's economy. It is prudent to stay aware of the reasons for a markets pop or drop, and not attribute too much meaning to a single particular event. Again, the real mover of markets are revenue and a companies earnings growth, If big corporations continue to move the needle forward and continue to grow their revenues, the market will trend higher. We view corporate earnings as a bullish or bearish indicator. If they are better than anticipated the markets will move higher. Not so good, it will trend lower. However, smaller traders shouldn’t get too caught up on every pop and drop of the stock market, instead they should look at the big picture and keep their overall investment strategy in focus, continue to practice good and prudent trading habits, while you weather market shifts and political whirl winds. We tell our members not try to political proof their portfolios. If you think about several political crisis over the last few years - like debt ceiling negotiations between political parties, when you take a closer look you'll notice they much of it turned out to be non-events for the market. 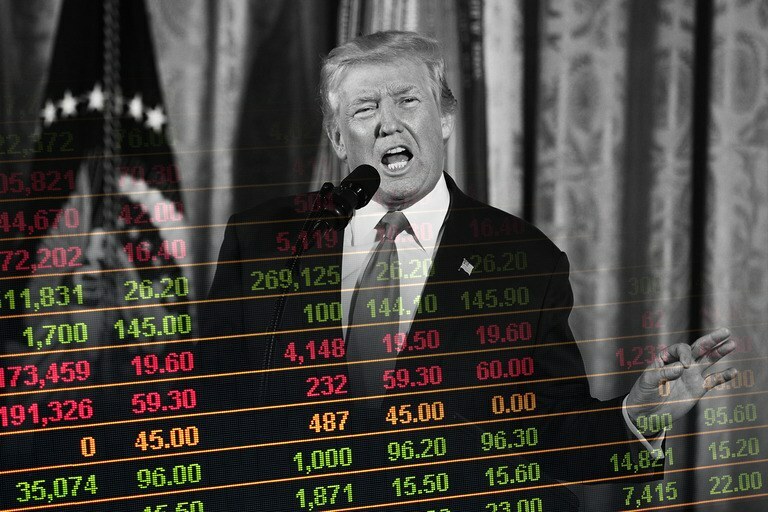 No matter who is in the White House, there are plenty of stocks at any given time that are good, worthwhile investments. We advise our subscribers to remember that it is earnings, not politics, that moves the stocks. The few times politics really affected the ebb and flow of the markets, was when it modified the economic landscape where corporations were doing business. So, as a rule of thumb - it's not until the political policies materially affects the way a particular company or sector does its business is there a cause for great concern. Investors just need to learn to put all the short term noise on the back burner. Yes, sometimes politics does affect the stock market, but the real reason for the political effects of the market is when politics and the stock market are economically related, like when the tax cuts were announced, it was positively related to the markets move higher. It is pre and post elections, like in todays environment, that investors must keep a wakeful eye on breaking developments. For many stock investors, politics still remains a huge factor in their investment making decisions. We should all keep in mind that political shifts can move markets, but even under booming economic conditions and vigorous fundamentals the market regularly experiences 2 to 3 corrections a year. So, remaining diversified in the correct stocks is always the best method to help ride out the inevitability of a large swing in the market. As a stock trader you need to follow your convictions. But, your opinions and beliefs need to be able to change in the blink of an eye, if need be. Will Congress or state legislatures pass a law that will have a negative impact on a particular stock owned?...an industry, a sector, or the economy as a whole? In a nutshell, politics is growing more personal, polarizing and insidious. This will likely get worse before it gets better and as the Republican and Democratic mid-term elections get under way, get ready for an ugly scene. The campaigns may be interesting to watch, but they not going to be pretty ones. How will these political adjustments impact the stock market? If you have a solid investment plan in place, like the methods we are executing for our members, with adequate diversification, we say that you make no moves based on supposed election theories. We are in uncharted political territory these days. So, sit back relax and watch the spectacle unfold, but hold on tight! Outcomes and predictions based on political shifts this fall are just pure speculation. As we previously mentioned, we embolden you to Join our FREE E-Newsletter and we will give you our trading perspective that will help you outperform the stock market and place better trades. Again, take advantage of our 14 Day FREE Trial and get 2 weeks worth of FREE trading signals on stocks that are poised to move higher. Until next time... Happy Trading!!! Stock Market Manipulation is a malformation of stock prices by brokers or groups or institutions. Market manipulators make the price of stock go up or down when they want the ability to buy or sell large quantities of shares at the best prices for them. "After all, no price is too low for a bear or too high for a bull!" When the "one that sits behind the curtain" Level 3 Traders/Market Markers, (Level III highest level of quotes system provided by NASD member firms, who have the ability to enter quotes, execute orders and change prices), when they start accumulating large amounts of shares in the open market- that buying tends to have an impact that usually moves the stock price of the intended security higher. Now, that is not good if you are buying large amounts of shares and you don't want to pay a higher price per share for them. So, by the time they're done buying a few blocks of stock, the price could have gone much much higher in process, and the profit they were hoping to make on that block has decreased before they done buying. The same if he is trying to sell, it would drive the shares down lower and he would get less money per share. That's not a smart trading philosophy either, if they want to get better price on the sell side. To accomplish this kind of an objective a shrewd trader will often dump a sizable position of their stock (acting bearish on it) first into the open market to try to achieve a result. "Panic Selling" which will cause the stock to decline further. Ponder this scenario for a moment: A Market Maker sells a significant quantities of a particular security they make a market in and the stock price begins to nose dive, then other stock holders get spooked and they also begin to sell their stock as well. Now everyone's panicking and the stock is down 30%. The manipulator wins and can now try to quietly buy back this stock now without being noticed (bullish), and without pushing the price back up again and/or if the manipulator sells significant quantities of a stock (let's say 100,000 U.S. Steel shares - NYSE:X @29.00) and the price DOESN'T go down, then that means someone else out there must be buying similar amounts of X's stock as it comes onto the market. - "some other big trader somewhere wants this X stock badly at this price too, so share prices are likely to spike." as the price of the stock starts to trend higher (as the first manipulator keeps buying it, supply will start to become less, so the price will inevitably continue to rise), you often find the manipulator then starts selling again. Why you ask? He wants to know if the other manipulators out there are still interested in buying the stock. If so, then the price shouldn't fall by much; the other manipulators will be buying up the stock that the 1st manipulator is selling. That's what the 1st manipulator wants to see happening; he needs other big traders to help drive prices higher, as otherwise there will be no one for him to sell to later on. The manipulator also wants to know if there are any novice stock holders out there who are on the point of selling, who could be convinced to sell if the price starts going down further still. Price moves down; those uninformed stock owners sell their stock; the manipulator gets to buy them back without moving the market, and he does so at a much cheaper price than if the stock price had kept going up. Once the manipulator has consumed all the supply of stock out there, anyone who wants to buy can only buy from the manipulator, who can then start to raise that price on the stock. Both manipulators involved have very clear intentions, to move the price of that stock up and then distribute shares that he has purchased in order to take the stock price higher. There are occasions when the manipulator would also be asked by a group of investors to sell the shares held by them at higher prices along with the shares that he might have accumulated as well. Manipulating stock prices can happen quite easily, even unintentionally and it takes place more often than you think. Achieving it in a perfectly legal way is no more difficult, depending on how much trading power one has. Individual stock investors just don't have ready access to these types of techniques and consequently, they often end up on the wrong and losing end of these scenarios. When trading situations like this, a little knowledge can go a very long way and that is why having a battle tested company like BullsToBears.com in your arsenal makes sense. We scan the market for these algorithms when they start a feedback loop with each other, this typically results in the wild swings up or down. So, we issue the buy alert and once markets moves higher by a significant margin, other traders will jump in to correct it, because they will think this is an anomaly out of which they can make money, so the stock continues to move higher and our subscribers at BullsToBears.com are very magnanimous about the situation and sell them back our stock we just bought 15% - 20% - 30% cheaper a few days/weeks ago. These type of Market moves happens often and is not a securities violation. In fact many groups and institutions, even including but not limited to the federal government, engages in these market manipulations. What separates legal manipulations, from illegal manipulations like "spoofing the market" is the quality of the information distributed by the entities who are engaging in the manipulations. In laymen's terms: As long as the information is made readily available to the general public by the parties involved and, is truthful and accurate, there is generally nothing wrong and no red flags are raised with these trading activities. This stock market is complicated, the future is uncertain and periods of turmoil and confusion are to be expected. There’s nothing you can do about that. Just get used to it, learn how to adjust your trades and notice the anomalies. When there is nothing but fear in the air and investor confidence is very low, stick to your convictions, a prudent investment strategy and a long-term focus will help you practice good trades and stay the course. When these times arise and you know they will, disciplined investors like Bulls To Bears subscribers will have the opportunity to take advantage of these manipulated miscorrelated stock prices. When you look at the market, and all you see is red stocks and scariness. Remember to look at it as your investing from a smarter perspective, imagine it as a long term buying opportunity. That is your goal. You should look at investing through nearer to longer term horizons. Granted, short-term volatility and selloffs are tough on the nerves and psyche, especially when bad stories captivate the news and everyone's scared and panicked and running for the exits. Learn from the pros on what our years of stock trading has taught us, that this is a better time to be a stock buyer, and not a stock seller. Just Imagine yourself having the insight and the opportunity to go back in time and buy some great stocks like Amazon, Priceline and Apple after the markets collapsed in '07-'09? If you had the wisdom and had placed some good trades then... instead of running for the exits? How different could your life be today? So, be bold and create your own future! So, next time the media outlets and Wall Street news stations are bashing stocks and there is wild market swings and higher than normal volatility, take a breather. Think hard and smart! Because when they do this, they try to get your emotions involved. When you start acting based on fear and your emotions kick in, they win, you lose! When your emotions enter into the trade you start to make bad decisions both in and out of the stock market. We have a idea! Strive to be a smarter trader and experience our trading program for yourself. Learn how Bulls To Bears can help you to narrow your focus onto what we know and believe to be better trade setups. Take advantage of legal market manipulations that happen daily and learn the laws of supply and demand with our 14 FREE DAY TRIAL. Stop spending so much time trying to figure out what stocks to trade. We’ve got that covered. Get access to our FREE TRADING NEWSLETTER and discover better tip's like this article and others on how you can reduce your downside risk. Know when to add to good, yet cheaper, stocks in your portfolio that are down - instead of selling them and start looking into more profits for yourself. We hope to see you soon! Till next time... Happy Trading! How High Is High? Can The Bulls Charge On? In doing our due diligence for our members we constantly explore websites that allow average traders to make stock predictions. Many of them try and make their own stock predictions tend to do so using technical trading tools. They prognosticate on the direction of certain equities based on triangles, trend lines, moving averages and more. What I am astounded by is how each one of them can have a different opinion from one to the next. One thinks the stock is going to tank because it looks like a descending triangle. Another thinks it is signaling a breakout to form a new high. The interesting thing though, is when it comes to the general market. They all seem to think the Dow and other averages are too high and “done”. It seems that they all look at the general market the same way. They analyze it like a single equity which has climbed too high based on its current earnings and value. In general, they are wrong as witnessed by the continuing new highs experienced in the market. The question is, why is this the case? The stock market always has the potential to continue to breakout. Stock prices may go up more, as people continue to earn hearty returns. More loose money comes to the market, and prices go up further still, attracting even more money. Rumors about the longest-running bull market in history swirl and more investors come into the market. After all how can you beat 5% GDP? There are many reasons for this boom, but the main reason we believe involves sector rotation. If you look at the current investment situation, there is really no place else for the money to flow. Bonds and debt instruments are still not paying enough to be worth putting your money there. Commodities present too much risk. Real Estate once again shot up to unrealistic multiples and investors are left scratching their heads for alternatives to stocks. Currently there are no good replacements. So in their quest for diversity they seek out other areas of the market that have not done as well. They rotate money from one sector to another. But the money still stays in the stock market. You see this reflect clearly in the Dow which has natural diversity built into it. Some weeks the Pharmaceuticals like Merck or Pfizer or Johnson & Johnson are running. The next week they are flat and the technology stocks like Apple, Cisco and Microsoft are running. While each sector runs, the other sectors don’t seem to sell off. This continues to drive the average forward - week after week. Business is looking better than ever with business enthusiasm at record levels. The Market continues to make new all time highs. President Trump’s focus is on long-term economic fundamentals, which has remained exceptionally strong, with strengthening U.S. economic growth, historically low unemployment, and increased wages for the average American worker. The recent tax cuts and regulatory reforms continue to strengthen the U.S. economy and continue to increase prosperity for the American people. Companies have enormous profit margins right now and are they are using their excess cash to buy back its shares. This, of course, reduces shares outstanding. When companies with Billions in cash like Amazon buy back their shares, this reduces the need for the big mutual funds, etc. For now Stocks continue to soar without taking a breather for a correction despite all the craziness and volatility going on in Washington, continued tension with North Korea and worries about trade Tariffs. How much longer can the market hold its nose up high and pretend that the world is a stable place? We know how hard it is for our society to loosen its grip on the concept of Ever More and to contemplate the idea of Enough. But we recommend trying it. The stock market just won’t go down, despite geopolitical concerns, over stretched valuations and an unpredictable president. Understanding why the Market keep rising is one way to judge how long the rally is going to last and what will happen next. Will this upward spiral end? Of course it will! But it may take a lot longer than people think. President Trumps economic stimulus has a strong focus on manufacturing. This has not been a focus for a long time. The Dow industrials are geared to be able to take maximum advantage of this. The companies that make up the average could see a long period of solid earnings growth. How does this affect the average investor? Well as we all know, in the stock market, all ships ride high tides. If the Dow keeps going up, expect the rest of the market to follow suit. In conclusion: Don’t listen to the pundits and naysayers who say the market is overvalued and miss out on major increases in your portfolio because people say the market is “too high”. We firmly believe the greatest risk to the average investor at this time is being underinvested. If you like trading stocks and making money as much as we do, consider signing up for our online newsletter for more investing tips and insights from our leading investment experts. Till next time... As always, Happy Trading! Gold is a commodity subject to the variation of supply and demand. The value of gold changes fast, and gold's price moves can be very volatile. Gold stocks also have a tendency of performing terrible when the stock market is doing well, as they are today. Consistently, throughout the years, Gold has outperformed a variety of investments. However, surprisingly there are still millions of Americans who don’t own any gold or gold stocks. A large number of people still remain on the sidelines simply because they are confused by the vast array of gold investment options. This puzzlement is the subject that we are going to examine today in this blog. It has been characterized by the methods and principles of science that it is easier for individuals to make decisions when there are only 2 or 3 possible choices. Otherwise, the assignment of assessing every conceivable decision turns out to be to daunting of a task for people, to the point that it scares them into inaction. The gold market has recently seen the innovation of a large number of new products, but at the day’s end there are really only two choices for buying gold - paper gold or physical gold. Paper gold investments, also known as gold derivatives, are investment vehicles that have something to do with gold, but do not include the physical delivery of it to the purchaser. Examples include gold mining stocks, gold ETF investments and gold pooled accounts. The calling cards of these ventures is that they are frequently expected to closely track the gold spot price, but rarely do, and at the end of the day you still require a piece of paper to prove possession of it. Physical gold investments are exactly what they sound like: these are purchases which include taking possession of physical gold. An Investor can purchase gold bullion bars, gold coins or certified coin investments and immediately become a part of the physical gold investment market. The bullion is always tracked by the spot price, while certified coins regularly track the spot price and in many cases beat the bullion over time. Gold speculators who are in it looking to make a quick buck may do better with paper gold investments, but safety minded investors will usually get what they are looking for by purchasing physical gold. It’s a simple question, if you are one of the many people as of yet who do not own any gold investments, you have two options when looking to buy Gold. It’s merely an easy question of what is most important to you, profit or safety. Whether it is the tensions in the Middle East, Africa or elsewhere, it is becoming increasingly obvious that political and economic uncertainty is another reality of today’s economic environment. Consequently, speculators commonly take a gander at gold as a place of refuge amid times of political and monetary vulnerability. Why is this? Well, history is full of collapsing empires, political coups, and the collapse of currencies. During such times, investors who held gold were able to successfully protect their wealth and, in some cases, even use the commodities to escape the turmoil. Thus, there are situations that indicate some sort of worldwide financial vulnerability, speculators will frequently run to purchase gold as a place of refuge. The fact that gold is no longer backed by the U.S. dollar (or any worldwide currency), why is Gold still important to invest in today? The more straightforward answer is that while gold is no longer in the forefront of the global economy, it is still extremely critical to own. To further illustrate this point, there is no other compelling reason to look any further than the accounting reports of national banks and other money related institutions. Presently, these institutions are in charge of holding around one-fifth of the world's supply of above the ground gold. Further still, many national banks have been adding to their ever present gold stockpiles, telling tales of their concerns about the long haul of the worldwide economy. The idea that gold preserves wealth is even more important in an economic environment where investors are faced with a declining U.S. dollar and rising inflation. 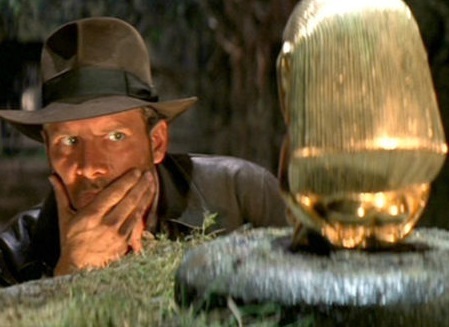 Historically speaking, gold has served as a hedge against both of these situations. With rising inflation, gold typically advances. When investors realize that their money is losing value, they will start positioning their investments into hard asset that haves traditionally maintained its value. The 1970s presented a prime example of rising gold prices in the midst of rising inflation. The reason gold benefits from the declining U.S. dollar, is because gold is priced in U.S. dollars on a global scale. There are two explanations behind this relationship. First, speculators who are thinking of purchasing gold (i.e., national banks) must tender it in U.S. dollars to make the exchange. This eventually drives the U.S. dollar lower as worldwide financial banks try to differentiate out of the dollar. The second reason is the way that a struggling dollar makes gold less expensive for speculators who hold different forms. These outcomes are a more of a noteworthy request from institutions that hold gold forms in retrospect to the U.S. dollar. When you pair assets that move differently from each other, you tend to create a more diversified portfolio. This is why mixing bonds with stocks is the cornerstone of so many portfolios. Bonds have a negative correlation with stocks, meaning they tend to go up when stocks are going down, and vice versa. Here's the interesting thing: Gold's correlation with bonds over the past decade or so is roughly 0.25, still very low. So gold doesn't track along with stocks, and it doesn't track along with bonds, either. Adding a small amount of gold to a stock and bond portfolio, probably no more than 10%, can help increase diversification and the ultimate safety of your entire portfolio. Should you be investing in Gold at this time? Being the contrarians that we are and looking at the current prices of gold stocks across the board. Some gold stocks appear to be looming buys. In the case of gold, it is a risky asset class and it would be unwise to invest all your money in it. However, because gold is viewed as a source of wealth, you shouldn't dismiss it as an investment option. Investors tend to gravitate into gold when they are scared, which boosts its value when assets such as stocks start falling. It just needs to be paired with a more broadly diversified portfolio so you can benefit from the non-correlated nature of gold's performance. And, yes, that will require re-balancing your portfolio every so often, when allocations get materially out of line. We at BullsToBears.com aren't in the business of buying physical gold, but we can point you in the direction of some gold stocks that appear attractive and might be worth dabbling in at this time and place. As always, were here to help you become a better trader by pointing you in the direction of a some great trades ahead. So, if you haven't done so yet.. make sure you don't miss our next blog by signing up for our weekly newsletter. Investing is a must and a vital part of good money management, because it provides you with both immediate and future economic security. When done correctly you wind up with a lot more money in the bank and also end up with another income stream. Investing your money wisely in stocks is one of few ways anyone can create both viable wealth and passive income. Investing smart ensures present and future financial security over the long term. The money generated from your investment holdings should provide you with both financial security and income. Actually, anything that generates a return is an “investment”. This means that even your savings account generating that 1% interest is an “investment”. However, when most people talk about investing, they're referring to much higher return investments like a funds, bonds and stocks. One of the ways investments like stocks and bonds provide income is by way of a dividend. A dividend is an amount or a percent paid to a shareholders simply for holding their investment. These investments usually pay a monthly, quarterly, or annual payments, so you get passive income that ultimately could replace your pay check. So you want to start investing with stocks, but the problem is, you have no idea what you’re doing? That’s okay! Again, we’re here to help. In order to start investing, you’ll need to open what’s called a brokerage account. This is different than a bank account, though large banks might also offer brokerage accounts. However, you’re likely best off choosing a discount online brokerage. If you’re already trying to manage a budget and pay down debt, you might wonder why you have to add another financial task to your to-do list. But this one might be the most important of all. Discount and Online brokerages make buying and selling stocks more accessible than ever. There are many online resources to build and manage your trading portfolio, whether you are investing in the USA or Abroad. Most brokerage accounts are inexpensive to begin to trade, with most that require only about $1,000 to open and start investing. Most millennial's today are afraid of investing in the stock market and I can’t emphasize enough how much of an opportunity there is "right now" to kick start a lifetime of wealth creation! It really doesn’t even matter if you make small contributions, because time is on your side. Once you start and open up that brokerage account, even as little as a few hundred per month can help your portfolio grow till you have something substantial. Today more than ever money plays an important role in our society. Creating wealth is crucial for your future. Many people have money, but the majority of people do not have enough of it. Making smart investments early on in life will pay off big time. Regardless of your current age, it is never too late to start to invest your money and to be able to fund your lifestyle and plan for some rough patches and hardships that life will throw at you. There are no guarantees in the market whether you will profit or not and there is no way to determine today what will happen tomorrow. 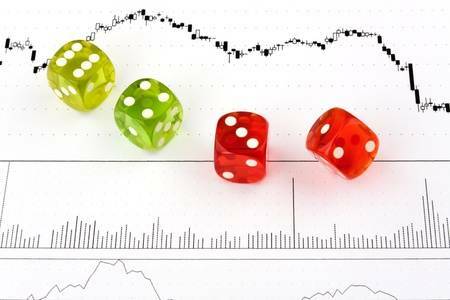 A number of unforeseen probabilities could eliminate your ability to earn money by traditional means like accidents or poor health. I hope you have heard the saying that "a penny saved is a penny earned." which is related to saving money? Saving your money will allow you to store it away and use for a later purpose. Many couples save money to pay for educational expenses for their children or for a vacation. You can even save for new automobiles, sports events or to make improvements or repairs on your house. Saving for any of one of these reasons can help you achieve your desired outcome. However, the difference is that you will be saving money to spend it. This "saved money" will not be a part of growing your wealth. Investing money that you save allows your money to grow to larger sums. Investing your money into treasuries, stocks, certificates of deposits and savings accounts builds wealth slowly over the time. Quarterly or annual interest payments you receive from your investments are added to your original sum and helps to grow your money. In the end, it is not so important what you choose to invest in, as long as you "DO" in fact invest your money. It is important for us to note that investing in Stocks have offered the most potential for growth. US stocks have consistently earned more than investment-grade bonds and real estate over the long term, despite all the ups and downs of the stock market. That's why investing in stocks, mutual funds or ETFs, is so essential when saving for your retirement and other far off goals. So, no matter your age your at, and how far away retirement is, you want to enjoy your golden years and do the things you want without having to worry about the money. So, to help you achieve that, the historical odds favor a diversified mix of investments with a significant exposure to stocks. So, sooner than later you must get used to riding the ups and downs of the market. For those investing for the long term and saving regularly, a stock market downturn can even help boost significant savings because the same amount of money can buy you more shares of stocks at cheaper prices. Still unsure of what to do? Let us explore a range of investing options that Bulls To Bears offers. Our team of professionals does the hard work on what stocks you should be buying for yourself. Our program teaches people how to build a robust diversified investment portfolio, even if they are starting from scratch. Again, if you’re brand new to investing and want to do it right, our stock trading program is the only guide you need. If you don't invest in your future you are already playing the losers game. So, enjoy your life and Invest wisely. If you haven't gotten to it yet? We encourage you to Join our FREE Newsletter and we will provide you with our trading perspective to help you outperform the market. Also, take advantage of our 14 Day FREE Trial Offer and get a few free stock recommendations that are ready to advance. The time is now to start making smart investments! Until next time... Happy Trading!!! I saw another interesting video I'd like to share with you. This one was from Investors Business Daily's web-site, it features an interview with Steve Wendel. Dr. Wendel is a behavioral scientist who studies financial behavior to help individuals manage their money more effectively. He is Head of Behavioral Science at Morningstar, where he leads a team of behavioral scientists and practitioners who conduct original research on savings and investment behaviors. Stephen has authored two books on applied behavioral science. In this video Dr. Wendel talks about behavioral finances, coaching and psychological obstacles. People needed to be coached because they don’t perform well at current tasks. Coaching is one of those things that a lot of people aren't sure about. Although most of the world's most successful people, from athletes to business people, have coaches to accelerate their success. If you already know roughly what you need to do to achieve your goals, but you're good for making excuses and putting it off, a coach will put an end to that procrastination. When you're only answerable to yourself, it's too easy to say "I'll do it later or wait till tomorrow" and we all know that tomorrow never comes! A coach is there to be your conscience, providing a supportive nudge in the right direction. Working with a mentor/coach can help push you to the next level. A good mentor knows where your next step should be to continue on your road to success. When you’re a new trader, it can be difficult to know what the next step is. A good mentor will guide you through the processes of learning and growing. Coaching is individualistic and it works best when it is tailored for the a persons specific needs. We may share computer screens shots and work on the trades together or we could be exchanging emails or texts. Having a great coach and mentor can make all the difference. We've already tried and failed; we’ve made mistakes and have learned from them. Working with a mentor can be expensive in the short run, but in the long run, you may end up shortening your learning curve and get you even better success that your looking for. Developmental coaching is an individual development program tailored to help boost strengths, professional goals and objectives. Through coaching, you can enhance your effectiveness as well as support purposeful actions towards your goals and desires. It is your opportunity to stand back and gain new perspectives on your challenges and opportunities. Dr. Wendel's studies help people achieve results in areas of their life that they have previously struggled with, such as exercising more and building up savings. So, should you invest in the stock market today? The stock market is at an all time high and most stocks appear expensive. This is a conundrum to both new and experienced investors alike. Nobody wants to buy stock if it’s going to crash 20% in 6 months, right? On the other hand, the stock market might continue to go up for the next few years. You don’t want to miss out on that gain. If you search around on the internet, you’ll see articles as far back as 2009 telling investors to pull out of the stock market. The S&P 500 index has more than doubled from that point in time and we’d all be a lot poorer if we followed that advice. There is an invisible force that determines how we see ourselves and the world. So, If you are a young investor and just starting out, then invest as much as you can. At that point, your saving rate is much more important than the rate of return. Young investors also have time on their side. Even if the stock market crashes, you will have plenty of time to recover. In fact, young investors should hope for a big crash. That’s the time to buy and it benefits them the most. Just keep investing if you’re in your 20s,30s and 40's. 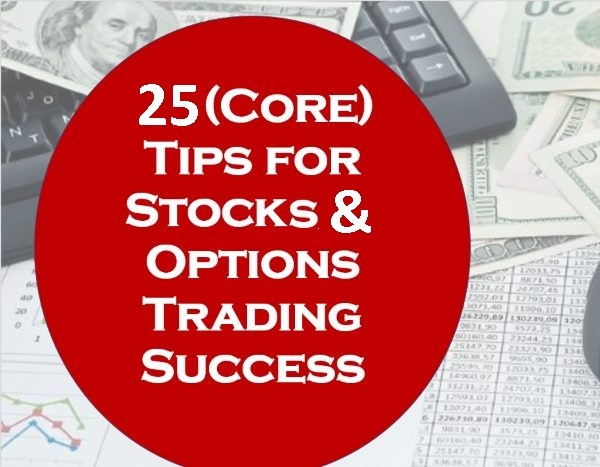 In this session of our Blog, we've boiled down some of our most trusted and crucial trade practices into 25 tips that we think will help to make you a better stock trader/investor. Successful traders have to move fast, but they don't have to think fast. Why? Because they've developed a trading strategies in advance, along with the discipline to stick to that strategy. It is important to follow your formula closely rather than try to chase profits. There's a mantra among day traders: "Plan your trades, then trade your plan." Stock and Options Trading are both difficult to master, requiring time, skill and discipline. Many of those who try it fail. But the tips and guideline we have described below can help you create a profitable trading strategy, and with enough practice and consistency, you can greatly improve your chances of beating the odds in a bull or a bear market. Again, We are in the process of creating a wealth of new resources and tools to help you take advantage of this historic time in the stock market. At Bulls to Bears, our followers come to our blogs to learn the skills of trading and then they join our cutting edge advisory service to find the stock situations which they should be acting upon. Buying stocks is a solitary event, too solitary in fact, so always make sure you can articulate your reasoning behind your trade. It's OK if you have to work hard to find a good trade, just don't default to what's in bear mode because you are time-constrained or intellectually lazy. Whether you are a seasoned trader or a newbie in trading, you can trade independently, successfully and maximize your wealth with the help of our timely and robust advice. If you haven’t done so already, make sure you sign up for our free mailing list here to make sure you get notified each time we update our blog. You will also get more trading tips, tricks and some other free stuff by subscribing. We are getting a lot of inquiries from our followers regarding the current “Trade War” situation currently going on with the Trump administration. We feel it is very important for our followers and subscribers to understand what is really going on here, and how it may impact their trading. First off, the trade war did not just start. 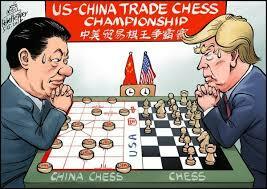 If you look at the current unfair tariffs that many other countries impose on U.S. goods and services you will see that there’s been a trade war being waged against the United States for a very long time. Just because our previously stupid leaders refused to do anything about it for such a long time doesn’t mean that this unjust situation didn’t already exist. What is currently occurring today under President Trump is... WE ARE FINALLY FIGHTING BACK! In the end, the answer to this long time complicated problem is quite simple. Every single country in the world can pick what level of Tariffs the United States can apply to them. How you ask? Very simple, whatever level they want to pay, they must adjust the tariffs they charge on U.S. goods to whatever level they want to pay and we will meet them there. This is true open trade, which is what everyone on the left claims they want. So how will this affect your trading? Well those industries that are right in the cross hairs of the trade war are going to be affected. Some long term and some short term. For example, the Pork industry is one of the bigger ones. 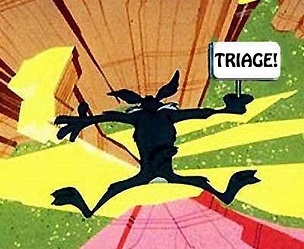 When the beginning overreaction occurs, prices of some stocks most likely will fall. When the dust clears there will be opportunities for those of us who choose to seize the day! The United States is by far the largest economy in the world. We will not lose a trade war! These other countries eventually will concede. And, If they want 5% Tariffs on their Pork, they will put 5% on ours. The bottom line is that over the long term this will be very good for you and many of these industries. So, our advice is to stay strong, stay steady and take advantage of the current market opportunities. Continue to place your trades in the areas we are selecting. Embrace the volatility and some cheap stock prices. Remember we are value contrarians. We buy when others are selling and sell when they start buying again. It is an age old, proven way to beat the market. If you are an individual investor trading online, and you’re looking to pull some money out of the stock market, then you need Bulls to Bears in your trading realm. We will help you find those stocks that are undervalued and help you purchase them when their prices are low. We help our subscribers who follow our value investing strategy overcome whatever challenges the stock market is facing. Another element of this contrarian value strategy is an avoidance of stocks that might be overvalued by the market to help protect the portfolio from the possibility of any downside risk associated with overvalued holdings. If you still haven't done so? We would definitely recommend that you sign up to receive the BullsToBears.com Newsletter here and gain access to our exclusive tips, resources and tools to help you improve your trading success. So, sign up today and we will work together to make some positive financial changes in your life. Once again till next time... Happy Trading! You hear the term Risk Management being thrown around a lot lately. This is a complex and yet simple subject at the same time. From a trading perspective, we must all realize that when you are investing in anything, especially stocks and options, there is a degree of risk and uncertainty. Without that risk we all would be buying guaranteed government bonds. How much fun would that be? So, the riskier the stocks the higher potential rate of return. Along with that potential upside you have that underlying and corresponding prospective of downside. It is therefore incumbent upon the trader to constantly monitor their level of risk involved in both an individual stock and in their overall investment portfolio. If you are looking for monster life changing investment returns in short periods of return, you better buckle up - you're in for a very humbling, wild and bumpy ride. 1· GOALS - What are your goals? If you are swinging for the fences so be it. You will be buying volatile stocks that can move for or against you very quickly. If you are looking for steady better than market returns than you will need to be focusing on stocks that are larger, safer and more heavily traded and will probably move slower than the “home run” stocks. Usually, the added volatility in these stocks during uneasy times comes from the market sector they are in and not just from the individual stocks themselves. 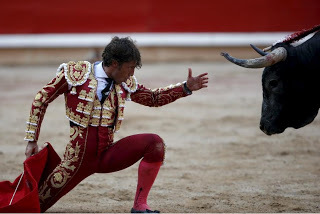 2· RISK - What are your risk tolerance levels? You must be honest with yourself and figure out how much white knuckle, nail biting stress you can stand. If you are naturally risk averse, you should not try to be a hero and play the market like it is Vegas. 3. ALLOCATION - What is your portfolio size? A trader must be cognizant of the size of the portfolio compared to the size of each position they take. This is the proverbial “don’t put all your eggs in one basket” scenario. Remember, it is important to understand the importance that Risk management is and that its the heart of the Bulls to Bears trading program. Our approach is intended to reduce your exposure to any unnecessary risks. Our investment team focuses on traditional investments, and we do not risk heavy losses by trying to chase very high returns. Bulls To Bears was designed to help you make informed investment decisions, weighing potential returns against the realistic potential for loss. With the choice of the Bulls to Bears trading program, you can choose the amount of risk you feel comfortable with for a given return. Your Bulls To Bears representative will help you pick which stocks are best for your portfolio, based on your individual circumstances and suitability. Effective risk management can be very beneficial to investors, and more particularly helpful to those nearing retirement age. This blog has been written with individual, private investors in mind. It aims to provide you with some information about investment risks in general, as well as to provide insight how these risks are managed within our program. We provide investment ideas and trading solutions to our clients across the globe. Our breadth of investment capabilities are extensive and among the most innovative within the market. Diversification is another way of managing the risk associated with trading. It involves spreading your money across different asset classes and investments, so as to potentially limit the impact of negative events that impact any one asset class or investment. Diversifying across asset classes may protect you against underperformance in any one asset class. Your asset allocation will reflect how cautious or aggressive your investment strategy needs to be. Bulls To Bears trading signals and buy and sell alerts are sent direct to our members; via email fax or phone. Experience for yourself how we can help you to narrow your focus onto what we believe to be better trade setups. These positions are hand selected to give you not only a better probability of success but often better percentage gains. BullsToBears.com has what you need. Take advantage of our FREE 14 DAY TRIAL today. Stop spending so much time trying to figure out what stocks to trade. We’ve got that covered. Also, get Free access to our FREE TRADING NEWSLETTER and discover further tip's on how you can reduce your downside risk, know when to add to better positions (based on information that we provide for you) and start locking in more profits. So, try us now for Free! We look forward to seeing you soon! That's all for now. Till next time... Happy Trading! So, you want to DAY TRADE STOCKS??? We'll, that is a TERRIBLE IDEA! We are constantly asked by people, why don’t you teach any day trading techniques? In response, we decided to dedicate this blog to the adrenaline fueled world of day trading. Less Risk: they contend that since they are exposed to positions for shorter periods of time they are at less risk. Better Cash Flow: proponents of day trading say that by locking in profits you get better cash flow from your investments. Faster way to make money: day traders make money in the day. They lock in their profits while long term and swing traders must wait for their profits. Now if this is what you think, then I have bad news for you. The odds of your success to enter into and exit out of a trade with a profit, within a 7.5 hour trading session is stacked against you! No one starts day trading to lose any money; people only do it if they think they can make money. Yet about 95% of people who attempt day trading will lose their money. Day trading has between a 5% to a 30% statistical chance of success according to market observers and financial specialists. Even the North American Securities Administrators Association (NASAA) has reported in their findings that over 70% of stock day traders lose all their capital through day trading. Something is going on there! Why do so many people lose money when it looks so easy? We will tell you... You see everything happens for a reason... Sometimes that reason is... you're in over your head and make bad decisions! The Stock market is composed entirely of other people that are trying to make money, or fend off losses (hedgers). These people who are very good at trading, are looking to take advantage of some of the orders which are placed by inexperienced traders at bad prices, that experienced traders think are good entries or exits. Usually those people are the ones that are going to be right, and the monies of the inexperienced day trader will be transferred to the more experienced traders account. Again, this is coming from our own 100 years of combined experience working on Wall Street, our teachings and our investing experiences. We ASSURE you that the odds of Day Trading a Stock for your success is stacked very heavily against you. The system is practically rigged to encourage you to gamble and lose your money, and you’d be a fool to ignore our warnings signs and continue on that journey. Less Risk: day trading involves split second decisions. While you are exposed to risk for a shorter period, that risk is dramatically greater. Better Cash Flow: day traders who say they lock in their profits are just deluding themselves. While they do close all their positions in a single day, their results are measured on a cumulative basis. Think of it as the guy who goes to Vegas 20 times and tells you about the one time that he won. How about the other 19 times? Faster profits: this is a fallacy because the potential gain you can make in an single day is limited. Even if you catch a big move, most of the time it is small compared to a stocks short term to near term moves. Commissions: day traders tend to make a lot of trades. The cost of these trades even when run through sever discount brokers adds up quickly. I worked as a professional day trader and paid only pennies per share in commission. Many months my commissions ate up a substantial portion of the gains I made. Methodology: most day traders are using market news as the basis of the reason they are trading a position. This means they are literally guessing as to why they are in a position. It is like riding a wild bull and you are hoping to hold on and get off with a gain. Time and energy commitment: day trading takes a lot of energy. You must be watching the screen always. It is a split second instant decision making activity. Most people do not have the time or energy to commit to day trading. If you don’t, you put yourself in great peril. Record keeping and Accounting: to keep things on the up and up you must create and maintain meticulous records of your activity. The IRS demands this. If you let this slip for even a few days you can get in major trouble and must spend a large amount of time sorting it out. Active Day Trading is an enticing model. It promises investors the world, and while some may make some money, the studies show the risks typically outweigh the benefits. If making money trading the stock market is a goal for you? Then day trading is not for you. Despite all the newest marvels and technological advances and algorithms, YOU do not have the expertise to outpace the stock market ALONE. You just can’t do it. And, if you think machines can replace a seasoned level 3 trader and the market makers? Then, we have a bridge to sell you. Nonetheless, you will still hear people brag about how they made money on a particular stock. Perhaps they’ll brag about the money they just made today? Then the very next day when the market is off they lose money and blame the stock market. To sum it up, while day trading has an allure to it, it is not for most people. It certainly is not for the average trader. Traders should focus on short term swing or trend trading if you are looking to have winners that are dramatically larger than your losers. Trading should become an enjoyable experience. Day trading for profits is a very high stressful environment and should be left to the professionals with Big Pockets. Swing Trading and Trend Trading over the short term is far less demanding. It’s the better choice for those who want to try their hand at trading without becoming totally overwhelmed. It is important for anyone interested in trading stocks to develop a strong fundamental understanding of how the financial markets work and the most important characteristics of various trading strategies. Bulls To Bears members are consistently telling us about the positive influence our short term trading programs has on their portfolios. Need help finding the perfect trading program to pair with your Stock Market Trading? 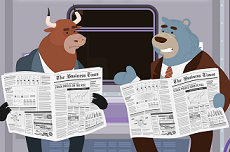 Get Bulls To Bears's FREE newsletter today and get a better understanding of short to Intermediate Term Trading. Once you learn to invest with us, you will begin to act with confidence and set yourself on a path to trading success. Come and see why some of our members are netting returns that would make many top traders salivate. Till next time... Happy Trading from BullsToBears.com! Trend Trading is all about being able to read market sentiment and the balance between bulls and bears. Understanding why a trend is gaining or losing momentum is very important if you are trying to make decisions about whether support and resistance levels are likely to hold or break down, whether a trend will continue, or if a reversal can be anticipated. The trading tips we are sharing are not a standalone system, but they should build as a cornerstone of any trend trading methodology. The structure of a trends movements consists of alternating spikes (advances) and pullbacks (corrections), which respectively end with the Highs and Lows. Highs and Lows can be called trend points and without a clear definition and understanding of every stage of the movements, often enough confusion could arise, especially for inexperienced traders. Trends – this is the direction of the predominant movement of the price of a currency pair. Trends are ascending (bullish), descending (bearish) and lateral (flat). With an uptrend, the next High and Low in the chart should be higher than the previous one, with a downtrend, the next Low and High in the chart should be lower than the previous ones. Flat Market – is a lateral movement in which new Highs and Lows do not go beyond the previous High or Low. Impulse – move in the direction of the trend. Correction – the movement of prices in the opposite direction to the trend. In this case, the correction should not exceed the previous High or Low, except for a false breakdown situation. Trend Reversal– is a change in the direction of the prevailing price movement. The difference between the price target and the entry price is approximately the reward of the trade. The difference between the entry price and the stop out price is the approximately your risk. New investors, when you’re determining whether it’s worthwhile to enter into a trade, consider using a 2-to-1 as a minimum reward risk ratio. Your potential profit should be at least twice as much as your potential loss. If the ratio is higher than that, the trade is considered to be better; if it’s lower it is considered to be worse. Through our 25+ years experience in trading, we have discovered that when it comes to identifying the trend of the market, there’s no magic secret. Becoming a successful trader takes time and dedication. However, learning professional grade investing skills that Bullstobears.com teaches its members can have a life changing effects. If you're ready to put in the work and learn, we can show you how you can make money consistently in any market, whether it's going up (bullish), down (bearish) or sideways (flat). Choosing the right trading method for you comes first. Perfecting it is the art of and trader. And mentoring you to becoming a successful trading artist is our lifelong endeavor. The Bottom Line: When Trend Trading or Swing Trading, a good trader can stack the odds of making a successful trade in his or her favor. As we mentioned previously trading is an art, which means that it is both craft and science and requires a lot of practice to develop consistency and profitability trading stocks. Online Trader’s sign up today for our 14 Day FREE Trial offer at BullsToBears.com and learn about our time tested and unique investment strategies. Also, we invite you to become a better trader and subscribe to our FREE newsletter here for exclusive information to help you make money in today's turbulent market place. Join our newsletter and learn our exact trading strategies, receive new posts and benefit from our ongoing mentoring within our private community. Till next time… Happy Trading from Bulls To Bears! I saw a very interesting interview recently from CNBC with legendary investor Leon Cooperman. Leon is a billionaire hedge fund manager from NYC. He manages around $4B and most of it is his own money. Leon was born of a poor family and grew up in the South Bronx. If you are not from NYC and don’t know the "South Bronx" it is a very poor, tough crime ridden area. It has gotten a little better in recent years but for a long time it resembled a war zone and not part of the greatest city in the world. What interested me the most in this interview was the fact that his investing philosophy very much resembled our philosophy here at bulls to bears. Specifically, he said “I look for mis-priced assets. There is no stock up without an explanation and there is no stock that is down without an explanation. It’s my job to figure out whether the explanation holds water”. 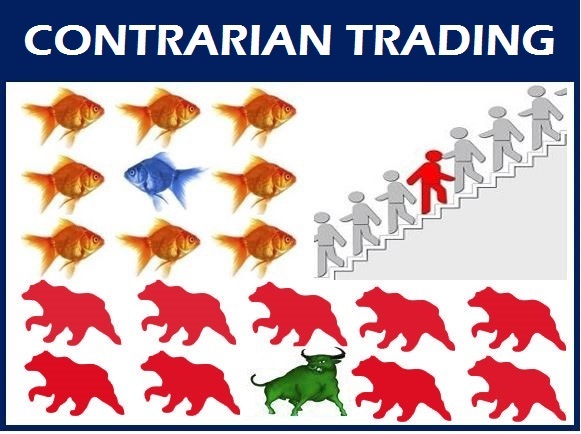 Contrarian trading involves going against the herd in your trades. A contrarian trader is doing the opposite from most other traders and is, in fact, betting against the masses in order to profit from it. This is exactly a like minded philosophy here at Bulls To Bears. We might look at a stock and say “it was $50 two months ago and now its $15. It may be a good buy and needs a closer look. Not because of the huge price drop. It may be a good buy because the price drop was created by circumstances that do not necessarily warrant this type of price action. Traders are very fickle and run for the hills at the smell of trouble. Once this starts you get everyone following. This is the heard mentality in action. It is our job to find those stocks that are still the same good to great companies but panic selling by misinformed market participants has cause a major price move that “doesn’t hold water”. Once we find these, the ability to trade and make money on these is easy. But it takes a lot of homework and due diligence to find them. That’s what we do. That’s what we get paid for. Recognizing the sentiment that drives trends and the indicators that signal their end is useful for traders of all shapes and sizes, whether you are a committed contrarian investor, someone who dabbles in the occasional contrarian trade or a seasoned bull or bear who acknowledges that all good things must eventually come to an end. This is yet another way in which contrarian traders can predict market tops and bottoms. If you ask yourself when the market is the most bullish or bearish, the answer to that question should be that the market is the most bullish at the top and most bearish at the bottom. Some of the most successful traders are contrarians and some of the greatest and most famous trades in history were the result of taking big bets against the market when everyone else was absolutely sure that the current trend would continue. Keep in mind. Markets tend to follow the prevailing trend until it exhausts itself, and because of this, the one most important factor in placing contrarian trades is that the trader has to time the reversal with precision in order to take a successful counter-trend position. It’s been reported and no surprise to us that over 95% of traders lose money in the long run. Why? When you realize that a lot of traders are taught and follow the same principles of analysis. They read the same books and follow the same philosophy, and they stick to the same rules for risk and money management. Ultimately, most times they all get the same results in their trading. This is where contrarian traders have a distinct edge over most stock traders. If you want to excel at contrarian trading, you have to defy that very instinct of going where everyone else is going and start to think independently no matter how counter-intuitive that may seem. Also, you can learn more information about our contrarian trading methods and our stock trading strategies on our website at BullsToBears.com. Also there you'll find a 14 day FREE trial so you can take advantage of some ready to advance trades on underpriced assets like Leon is talking about. If you haven't done so: Join our Free newsletter here so you don't miss our blog updates or any valuable stock trading information. Bulls to Bears is an Independent Stock Research and Advisory Firm dedicated to the Independent investor. Bulls to Bears lives by the philosophy “everyone their own broker”. Our service grew out of the growing trend of individuals wanting to take control over their own financial destiny. Many of these investors had been burned by unscrupulous stockbrokers looking to “churn their accounts” for commission dollars. The advent of the discount broker and the use of the internet gave individuals the confidence to rely on their own talents to pick and execute winning stock trades. Unfortunately confidence quickly turned to dismay as those individual investors learned the reality of the perils of flying solo in the stock market. Bulls to Bears provided the perfect answer to the investor dilemma. Investors could get expert advice, but from a third party who’s compensation was not tied to the number of transactions the investor did. This third party objectivity gave the investors the confidence that our only motive was to bring them winning stock trades! This paper is going to explain our investment philosophy so you can further understand the true value of the experience and knowledge that Bulls to Bears provides its members. For new investors, dabling in the stock market, it is like when first learning to ride a bicycle. It looks real simple when you watch someone do it. It is another thing to get on and start peddling. Most online traders are apprehensive in their trading. The reason for this is they are not in the market every day. An individual investor is never going to execute the number of trades that will give them the “street smart” confidence to execute their trades with the pinpoint precision that is necessary. This hesitant mind set leads to poor trading results and sometimes even disaster. The staff at bulls to bears has a decades of trading experience. We are not hesitant in advising you to execute your trades. We have a tendancy to set very strict stop loss parameters to ensure you preserve your capital. We not only tell you what stock to buy, we tell you when you need to be selling to maximize each trade. Most professional traders make money in the stock market because they develop a strong feel for the market. They also track each individual stock and get a feel for its trading behavior. Bulls to Bears closely tracks its recommendation to learn its behaviors. We track these stocks for months and in some cases years before they become a recommendation to our customers. These actions are what philosophers have spoken about for years. Having wisdom and not knowledge. Knowledge is information and wisdom is experience. The average individual investor can never get to this level because they just can’t spend enough time in the market. Bulls to Bears lives in the financial market place and we bring this wisdom to our clients. We have found that the best trading situations are found in stocks that have fallen out of favor with the market. Many times this will be due to a general weakness in certain market sectors. For example technology stocks may be getting hammered as a group, but you will always find one or two stocks in that group that are doing well, but their stock prices are getting hammered like the rest of the group. These stocks are poised for strong upward movement when the pressure is off the group. These stocks usually at or below their book value and are in an oversold territory. Bulls to Bears tracks those sectors, identifies the “diamonds in the rough” and tracks them until they meet our investment criteria. One goal is to make sure our clients do not fall into the heard mentality. i.e. Currently gold is the “flavor of month”. To us, this indicates that a bubble exists and there is great risk investing in situations tied to gold. Another goal is to pick situations that will produce 10% to 15% gains in a months time frame. Day trading for the average individual is just gambling. Long term investing has proven to be perilous when the market hits a rough patches. By setting our goals realistically, we greatly increase our client’s chance of success. Many situations we recommend have potential to show a larger gains, but with proper money management 10% to 15% will provide a bankable differential from those positions that do not work out. As time marches on, it is becoming more and more difficult for the individual investor to make money in the stock market. Program trading, institutional buyers and instant execution give the professionals an advantage over the individual online investor. Bulls to Bears “levels the playing field” for our clients. Our advantage comes from our market wisdom and our ability move very quickly. This is why we have our internal instant alert systems set up. If you are an individual investor trading with a discount broker you need Bulls to Bears in your trading arsenal. If you haven't done so yet? I would recommend that you sign up to receive BullsToBears.com's FREE newsletter to get our exclusive financial educational tips, resources and tools on various financial matters to help you improve your financial well-being. So, sign up today hereand we will show you how to start making some positive financial changes in your life. Till our next blog... Happy Trading! As we have mentioned previously in this blog, trading stocks is a skill. It is not luck, or chance or some type of alchemy. If you learn the skills and practice them, you can be a good trader. What do we mean when we say Trader? We mean that you are someone who can consistently extract profits from the stock market. To do this requires you to master two sets of skills. The first is the ability to trade the stocks. This skill is a combination of learning the rules of the game and then being able to follow the rules. It also involves learning the various tools that you have at your disposal to do this. This includes learning how to read charts, examine volume indicators and get a “feel” for the market action. Here at Bulls to Bears we have a two-pronged approach to trading. We are going to try to use our blog and our newsletter to teach you how to be a good trader. It is free because the large amount of work including learning is incumbent upon you. Also, we know that if you do become a good trader, it makes our products more effective in your hands. It allows you to apply what we give you to make money for yourself and your family. The second part of our approach is our stock recommendation service. This you do have to pay for. Why? Because this is where we must do the heavy lifting. We must do the hundreds of hours of due diligence. We must track hundreds of stocks and indexes. We have the burden of finding the high probability situations so our clients can focus on what they need to do: learning to become good traders. 1. Keep Emotions in check. - good traders understand how their emotions can influence their trading performance. balance and temper thoughts and emotions. 4. Appreciate other people’s successes - Trading is a tough profession. Losses and drawdowns are challenging periods that cause many to break. Good traders never compare their own results with others. They don’t feel as though other people’s success somehow diminishes their own achievements. Losers think like that, and in return, losses and disappointments is what they keep reaping in their lives. 5. Sticking to the rules. - Good traders make decisions with relative ease because they understand their rules and what they are trading and looking for in the markets. They do not let other people’s opinions affect their judgment. They’ve learned to trust their own - essentially catching their own fish. 6. Focus on sharpening your skills, rather than showing them off. - some people seek validation or recognition from other traders on Social Medias (especially twitter) for the trades they take, good traders are less concerned about gaining recognition. Instead, they’re intrinsically motivated to become better. 7. View trading losses as opportunities for growth. - Good traders don’t waste time feeling sorry for themselves, they make good traders grow better. 8. Practice delayed gratification. - great traders view their trading goals as a marathon, not a sprint. They’re willing to tolerate short-term pain when it can provide long-term gain. 9. Bounce back from failure - Good traders don’t view failure as the end of the road. Instead, they use potential failures as opportunities to refocus and gain new knowledge and adopt new behaviors that will increase their chances of success in the future. 10. Express gratitude - Rather than exclaim you need more, good traders take whatever the markets are offering them in the moment however small the gains are. If they followed their plan to the letter, then what should or could have been doesn’t matter. 11. Focus on what you can control - Good traders are effective in the markets for the mere reason that they devote their resources to that which they can control - and this does not include controlling the markets but their own behavior. 12. Be open to learning - Learning is a paramount and an important tool and an ongoing quest for great traders. We stress that you don't just practice good trades, practice good trading skills! Bulls to Bears uses a developed hybrid approach of both technical and fundamental trading disciplines to come up with a majority of our stock picks. In doing so we have developed a tremendous track record. Our service is literally designed so you can earn, while you learn. Use our stocks picks to make money and at the same time you are practicing and learning the skills needed to becoming a great trader. Think of it as a work study program for Stock Trading. If you didn’t recognize yourself in any of those 12 statements above, rest assured, you can develop these qualities in record time. For starters, I suggest getting our investment newsletter here. In the end it will boil all down to one key quality and that is behavioral change and we can help you with that too! 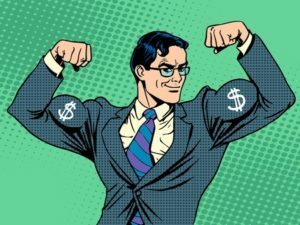 Bulls To Bears: Being Coachable - Your Money or Your Ego? When I first started trading stocks on Wall Street, the number one criteria firms used in their hiring was something called “coach-ability”. If you were not coachable, you were not getting a seat. These firms did not have the time or the patience to work with you unless you were going to listen and do the things you were told to do. There was nothing worse than some kid just coming out of school and acting like they knew more than you. In the stock trading world, it was a quick way to find yourself ejected from your seat and from the building. The same thing applies to our business of training people to trade stocks. The only difference is that these people are now paying us for the knowledge. The problem is that since they are paying to teach them to trade stocks, they tend to feel they should have more say in the process. While that would be nice in a perfect world, it just doesn’t translate into the real world. So, in that vein, we thought we should lay out some of the “rules of the road” for getting the most out of the Bulls To Bears stock market training program. These are basically guidelines as to how to be a good student of the game. This blog is written with the intent of making you a better or even great stock trader. So here it goes. 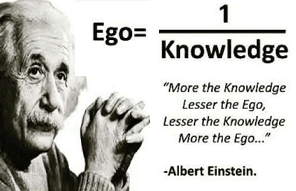 Check your ego at the door: the stock trading principles we teach are based on long term trial and error. We made the mistakes so you don’t have to. These principles are tried and true. Don’t try to reinvent the wheel. It is truly better to be successful than “right”. Prepare like your financial life depended on it: it probably does. We give you the tools but you need to do your preparation work. Remember we can’t trade the stocks for you. All your good intentions can go right out the window by not applying the basics as taught. Be honest: with both yourself and with those training you to trade. Most people are not honest with themselves. They lie to themselves and then believe it! When you make, a mistake, admit it to yourself and learn from it. Radical honesty is a prescription for success when trading stocks. Adopt a mindset of self-accountability: when you get a good recommendation and you mess up the stock trade you must take responsibility for it. You can’t blame others. You can’t blame circumstances. You can’t blame the weather. Only by taking full responsibility will you start to adopt the mind set of an elite stock trader. Keep it light and have fun: if you are trading stocks correctly, you should be using position size and limit the number of positions to be in line with your financial resources and your current stock trading abilities. If you find yourself totally stressed out, you are doing something wrong. At that point cut back and get your fear under control and give us a call. Remember the old saying: And if you can’t keep your ego under control, it’s going to cost you a lot of money. A recent study suggests that Men tend to achieve lower returns than women. It's not because the ladies are better at stock traders. Rather, women are better at NOT picking more stocks than men. They have less of an ego and trade less frequently when the market makes bigger swings. As a result, ladies trade less, are more patient, saving money along the way on investment fees and boosting their overall returns. Your great advantage as an investor is that you can be boring and trade frugally; rising slowly with the overall market and not wasting money on costly trading that tends to underperform the market. Even us GREAT stock pickers occasionally get it wrong and issue a loser a “dog with fleas”. No one gets it right 100 percent of the time trading stocks and options. The trick is to know when to cut the losses instead of wishing for a turn around that might never come. The biggest mistake a beginner investor can make with our program is not following through when the going gets tough. Many times when things get a little crazy in the market, as soon as the market moves bearishly they begin to start trading solo again, on their own impulse, to buying or selling when they don't need to do either. They forget our proven program in place and they revert to trades based on fear trading. Fear of losing money. Now your ego prompts you into wanting revenge, because your losing, as if there were someone that you could ‘hurt back’ and it will then make you feel all better. Oddly enough, this sadly hurts only you, and not to fun for your ego either! So DON’T let your ego play tricks on you into ignoring your better judgment and doing things you later regret. Be Coachable! Remember we are the professionals. Our collective has been doing this for decades for others. Bulls To Bears trading program offers a straightforward, very sensible way to get your trading working the way you’d like. If you want to know more about how to pick winning stocks, I recommend that you subscribe here to our newsletter. Everything you need to learn to begin your trading journey starts there. Take the information seriously and focus on learning. When you begin with us and trade our stocks, focus on learning and understanding trading not on winning or trying to fast track your way to profits. Whether you’re a current Bulls to Bears member or not? or considering joining? We welcome all your feedback. Send us your comments at service@bullstobears.com. As we have mentioned before, our goal is not to have you make great stock trades, it is to help you become a great stock trader. Till next time, be smart and have fun! As always, happy trading! Bulls To Bears: Rules Every Trader Should Follow To Survive The Long Haul. If you want to be successful in stock trading and investing in general, you need to understand the importance of and adhere to a set of rules that have guided all types of traders, with different trading account sizes. Every rule alone is an important one, but when you use them all together the effects are life changing. 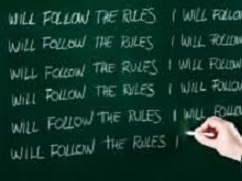 Trading with these rules can greatly increase the odds of making money in the stock market. Very successful traders have a carefully thought out trading system with specific rules to maximize their odds of success. If you're interested in becoming an active trader, BullsToBears.com's Trading Program will teach you everything you need to know to get started. You'll learn the basics and how to develop a trading plan that aligns with your risk and financial goals. Think of it as a continuing education - traders need to remain focused on learning more each and every day. It is important to understanding the markets, and all of their intricacies, is an continuous lifelong process. 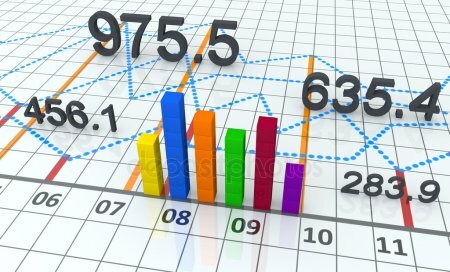 Great research allows traders to learn the facts, like what the different economic reports mean. Focus and observations allow investors to gain instinct and learn the nuances. This fundamentally helps traders understand how economic data affect the markets movements. Politics, world events, economies, tragedy - including the weather - all have an dramatic impact on the stock market. The market environment is dynamic. The more traders understand the past and current markets, the better prepared they will be to face the future. An ineffective trading plan yields greater losses than expected in historical testing. Markets may have changed, volatility within a certain trading instrument may have lessened, or the trading plan simply is not performing as well as anticipated. It might be the time to reevaluate your trading plan and make a few adjustments, or to start over with a new trading plan. An unsuccessful trading plan is a serious problem that needs to be addressed. It should not necessarily be the end of your online trading dreams. Here we have outline 10 rules every trader should follow to survive the long haul. These are everyday Rules That Work! 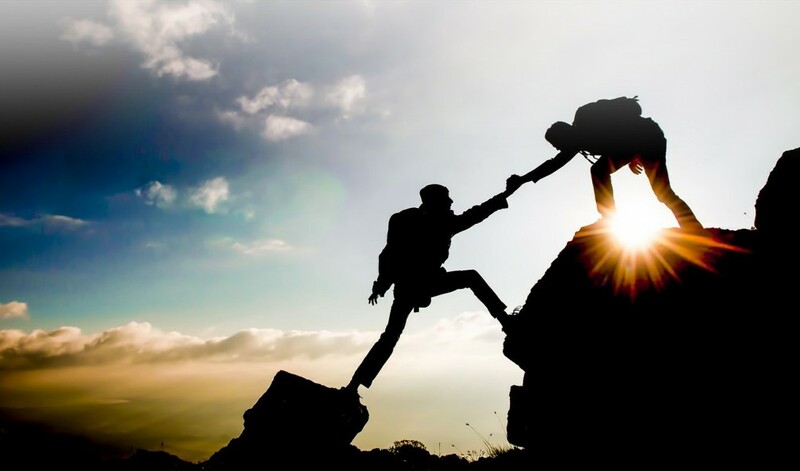 To be successful, traders need lots of encouragement, support, and practice in applying these habits, these rules to a wide variety of trading situations. Simply apply and adapt these 10 simple rules and you will make more money trading! 1) Be flexible and go with the flow of the markets price action, stubbornness, egos, and emotions are the worst indicators for entries and exits. 2) Understand that the trader only chooses their entries, exits, position size, and risk and the market chooses whether they are profitable or not. 3) You must have a trading plan before you start to trade, that has to be your anchor in decision making. 4) You have to let go of wanting to always be right about your trade and exchange it for wanting to make money. The first step of making money is to cut loses short the moment it is confirmed that you are wrong. 5) Never trade position sizes so big that your emotions take over from your trading plan. 7) Trade your biggest position sizes during winning streaks and your smallest position sizes during losing streaks. Not too big and trade your smallest when in a losing streak. 8) Do not worry about losing money that can be made back worry about losing your trading discipline. 9) A losing trade costs you money but letting a big losing trade get too far out of hand can cause you to lose your nerve. Cut losses for the sake of your nerves as much as for the sake of capital preservation. 10) A trader can only go on to success after they have faith in themselves as a trader, their trading system as a winner, and know that they will stay disciplined in their trading journey. As always were here to help you become a better trader not only help in placing great trades. If you need help with your trades just contact Bulls to Bears today and get your investment plans back on track. Remember to sign up for more exclusive trading tips, tricks and secrets by joining our FREE newsletter here. 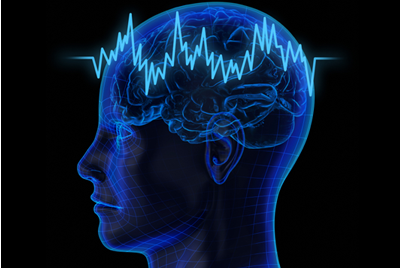 Bulls To Bears: Trading Exercises Control Your Brain. One of our main goals at Bulls to Bears is to get our members to be a great traders, not just teaching them how to make great trades. All traders should have a good trading habits. One of the worst habits a trader can have is trading on impulse without direction. Traders who make trading plans are more likely to succeed, but even with a good plan in place you have to develop good trading habits. Human nature, is human nature and people make impulsive trades even with their outlined plan taped to their forehead. They exit winning trades too quickly or let losses go longer than their plan states they should. In order to break bad trading habits, traders need to base success or failure on each trade by how they stick to their trading plans. Not simply on whether they make or lose money. That being the case we like to have our students get into the flow and feel of the market. We do this by asking some of them to do exercises which allows them to feel the market. These trading exercises force you to focus on the market auction process, order handling and other core market components that will enhance your trading skills. Complete these exercises when possible. You will learn a significant amount of practical trading information for the market when you complete these stock trading exercises. Start exercising your trader brain and put it to good use! 1. Pick a stock you are going to track every day. 2. Pick a stock index that relates to that stock. 3. Identify the stocks industry group and what other stocks are in it. Your job is to follow the stock for the next week. We want you to make observations about how the stock acts. 1. When the S&P Index is down, what is the stock doing? 2. If the index has a heavy volume day, how is the volume of the stock? 3. When the stock is up or down significantly, what are the other stocks of the groups sector doing? The goal here is to get a feel for the stock. If you partake in this exercise, We ask that you email us your observations so we can comment and give you pointers. Send your emails to service@bullstobears.com. If you continue to do this on a long term basis you will start to get a much better feel for the market. You can then pick target stocks and groups and learn to get into the “feel” of the stock market much faster. Understanding the ebb and flow of a stock compared to the market will make your path to becoming a profitable trader and a much smoother one. Don't forget to Sign up here for BullsToBears.com's free newsletter today for more trading tips! 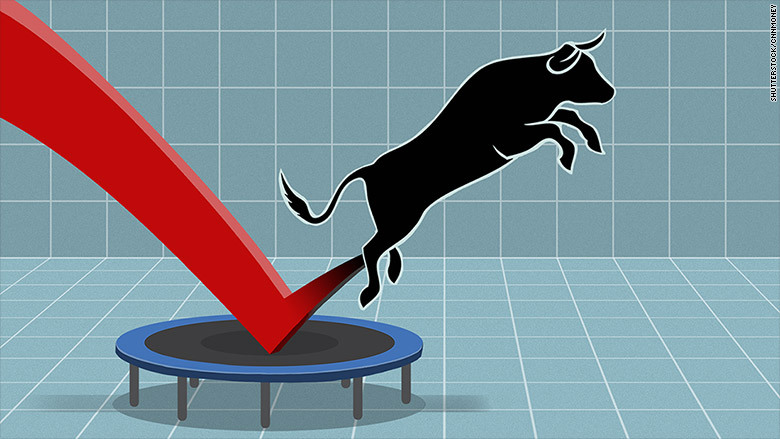 Bulls To Bears: The Bull Market? You Didn’t Miss The Boat! It has now been 15 months since Donald Trump became president. We knew better yet, contrary to what most “experts” believed, as soon as he took office, the stock market exploded. The upward movement was, without debate, record setting. Every American with a 401K applauded and everyone was happy! Or were they? Professional Stock traders like us have a bit of a different view. With an extremely fast one sided move higher, it was still difficult for investors to have made significant amounts of money. Why? Most traders tend to do better in volatile choppy markets, with swings up and down, just like the one we are in now. So, If you feel like the road to becoming a successful trader is like a roller coaster ride of ups and downs you're not alone. If you have been following the market as of late (we are referencing to the Dow Industrials for an understandable point of reference) you will have noticed that volatility has been re-introduced into the market. The current swings are considered by some to be “big” although you should consider that the Dow in much higher than it was just 12- 18 months ago and "percentage wise" these swings are not as big as they may appear. Any great trader will tell you, these big swings up and down are your greatest friend and not your enemy. We say this realizing though that if you manage to be on the wrong side of one of these big down swings, it could be a bad situation for you monetarily. This is where being a student of the stock market is extremely important. You must get into the movement of the market much like a hitter in baseball. A great hitter studies the pitcher he is facing. Not just when he’s up, but with every batter that steps to the plate. A great hitter starts to time the pitcher, he starts to feel the rhythm of the pitcher. He notices the pitch selection. He notices what the pitcher usually does on a 3-2 count. He notices if the pitcher is throwing first pitch for strikes or testing the batters with balls on the first pitch. The best hitters in baseball history are those who not only hold the all-time hitting records, but changed the game as we know it. They are uncoincidentially among the greatest baseball players of all time. Not just being in the market but understanding it are parallel. By continually keeping your pulse on the market you begin to identify the ebb and flow and eventually making money through trading becomes easier and more predictable. When that happens and you have swings like we are seeing NOW in the current market, you can make large amounts of money. 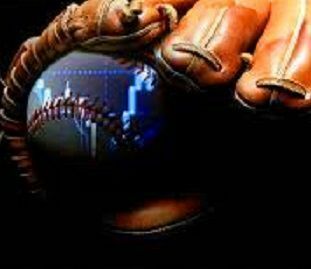 Your job is to see the market as a great hitter does! Don’t only look at your trades. Do some paper trading. Look at various sectors to see how they are acting in different market conditions. Look at other types of sector securities and see what they are doing. What is gold doing while the market is having a down trend? What are the bonds yields telling you by what they are doing? If you truly become a student of the market, the opportunities for you to make money will jump right out at you. If you don’t, trading will remain like gambling. Gambling is not a long-term wealth strategy. Remember you don’t just want to make great trades, your main goal is to become a great trader. Being a great trader is about developing certain mental qualities. It is the process of constantly pushing yourself to grow stronger and better. A profitable trader is not necessarily a good trader. Likewise, a good trader is also not necessarily a profitable one, yet a good trader ultimately finds himself with a much higher probability of being profitable and finding success in the long run. In conclusion - we are still in a bull market! Just more choppy and much better for traders. So if you want to learn how to become a 300 hitter with stock trading and not someone who just wants to hit 300 once? Start with our FREE newsletter and we will provide you with our perspective, inspiration, and appreciation for our game which is the stock market. We are more than happy to provide you with tips on how to be a better hitter when stock trading when your up at the plate. Learn the trade. Be the change! Sign up here for our free newsletter today!